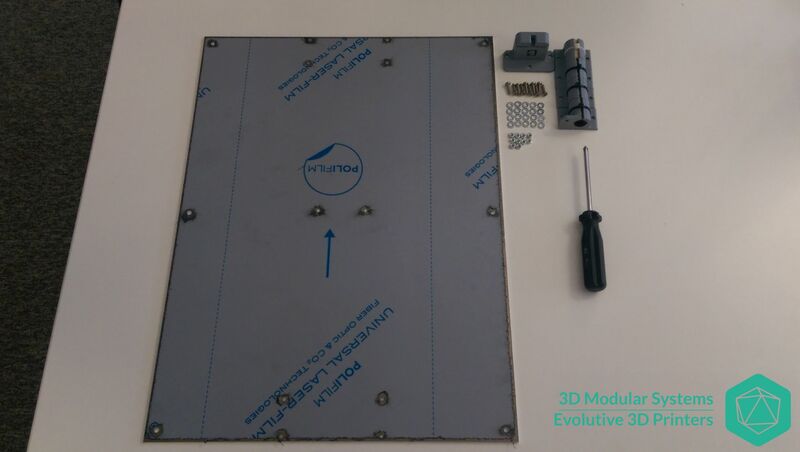 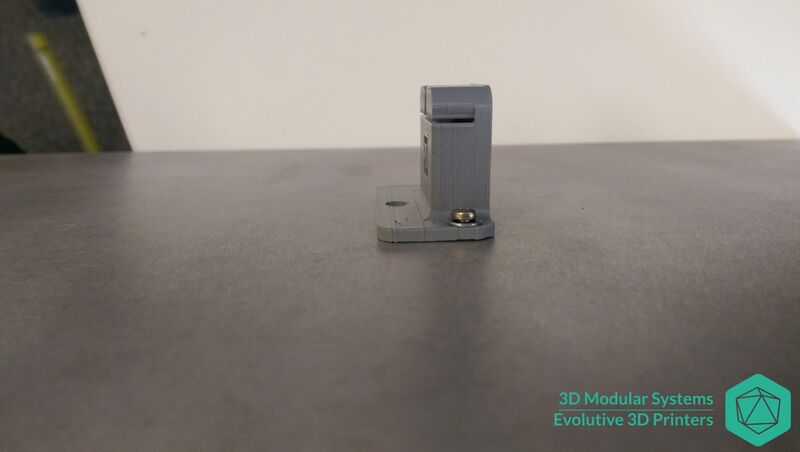 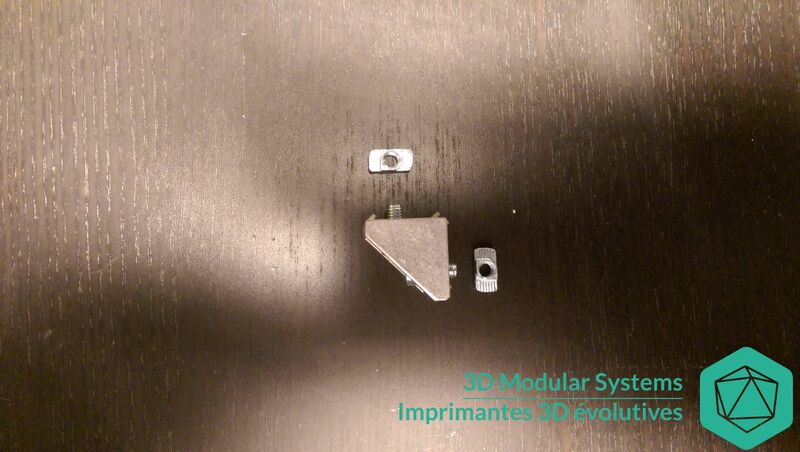 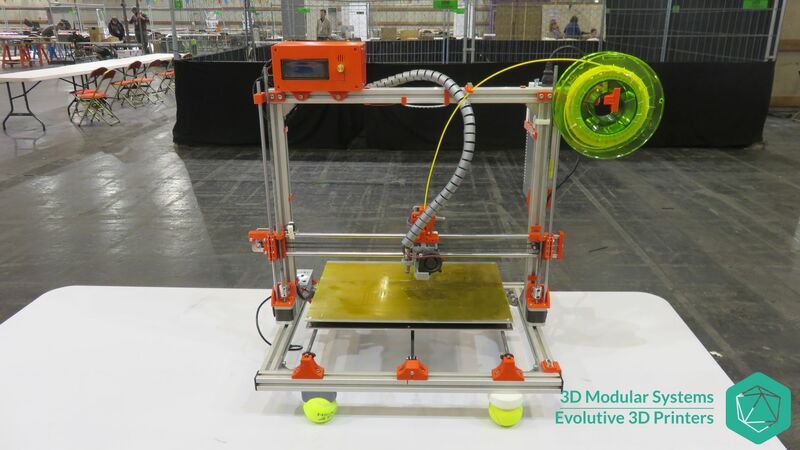 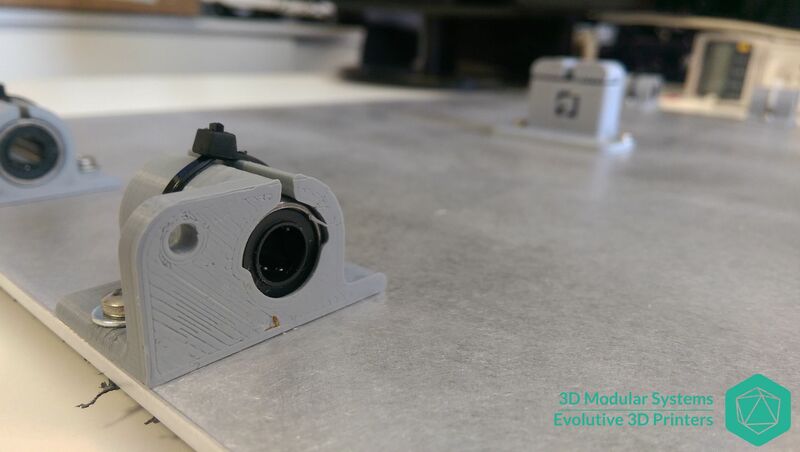 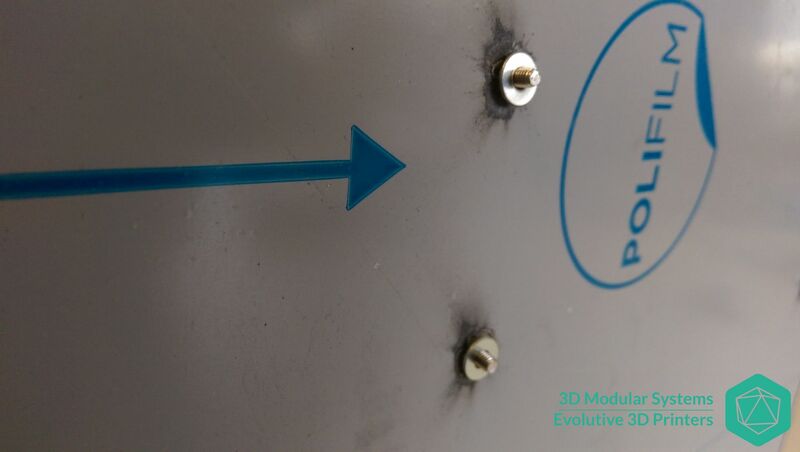 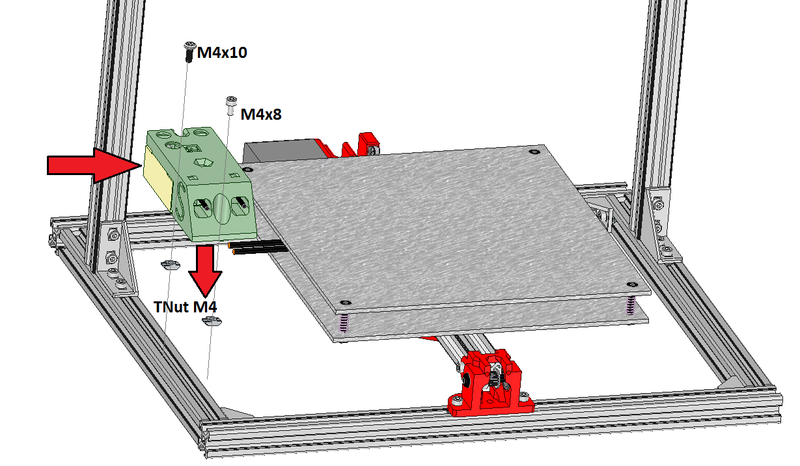 In order to achieve this, a power câble is being instrumented, and a static relay provide enough control for the 3D printer controler to allow this feature to work. 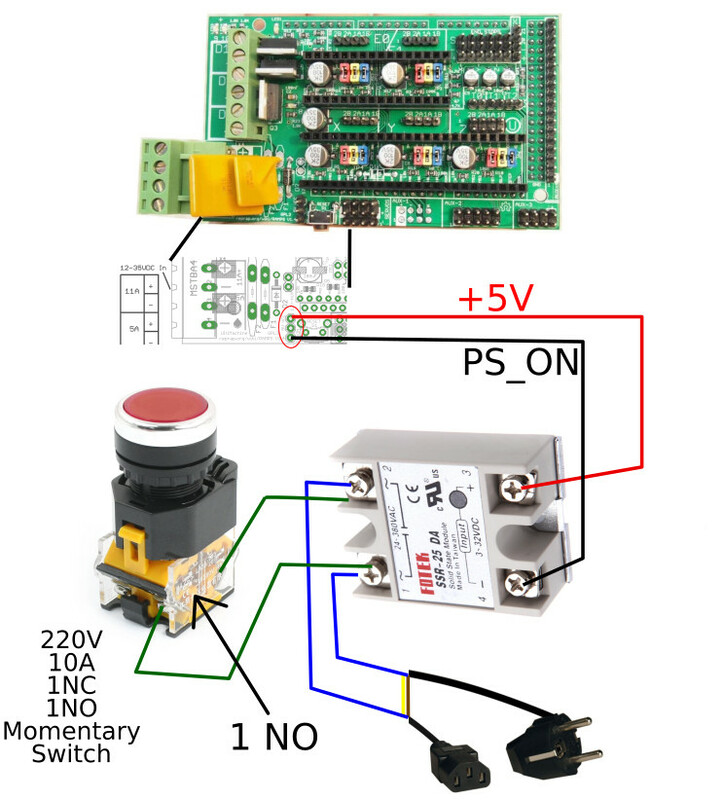 In certain kits, this wire might already be wired to the static relay unit. 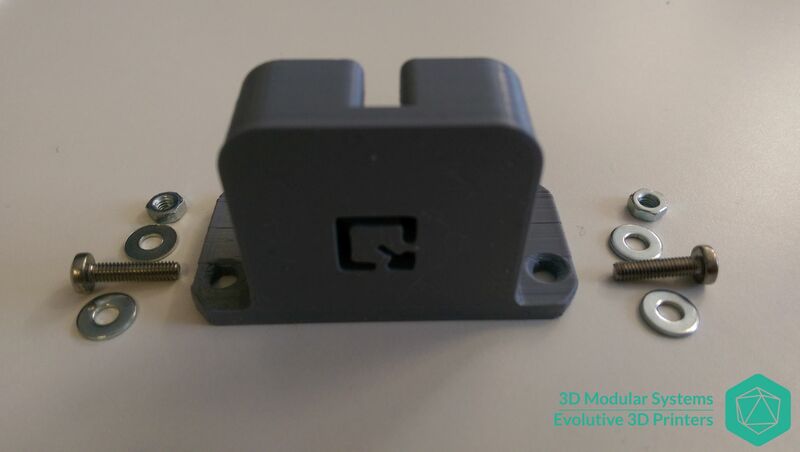 In the other case make sure to cut the 2 pins connector from the cable and to keep the part with the 3 pins connector. 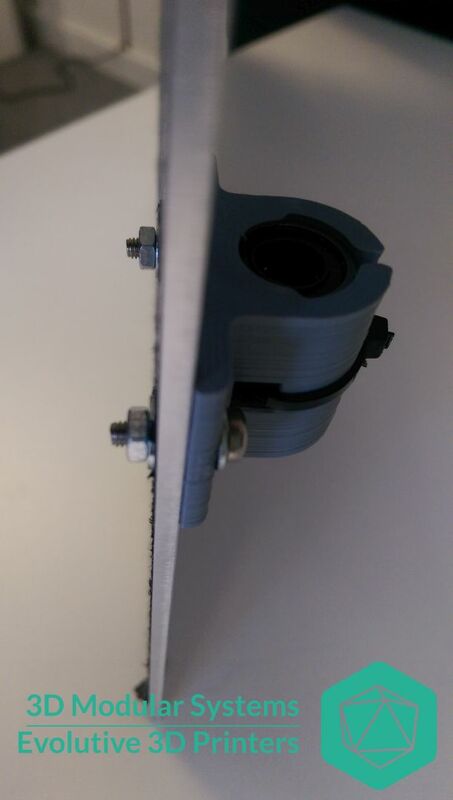 You might need a thin blade in order to lift the strips and pull the wire to remove it from the black housing. 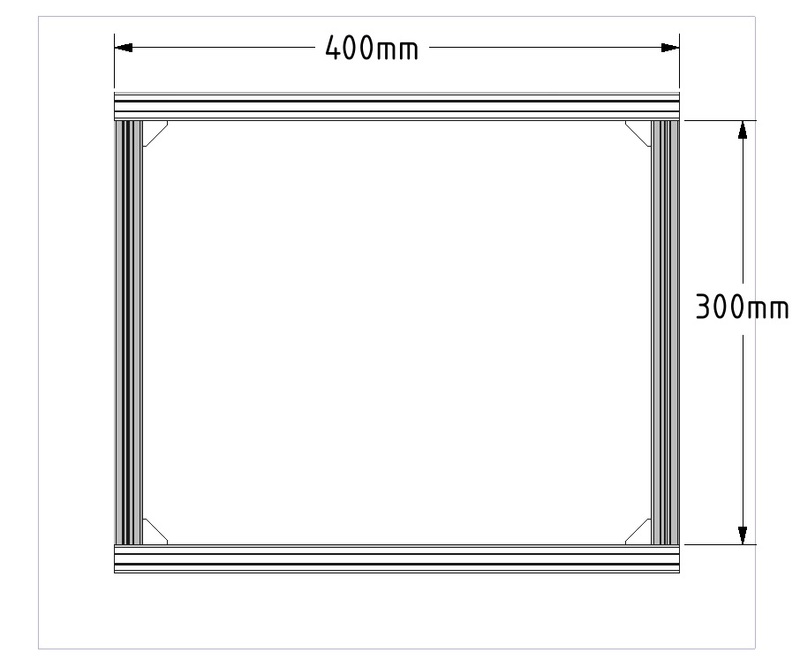 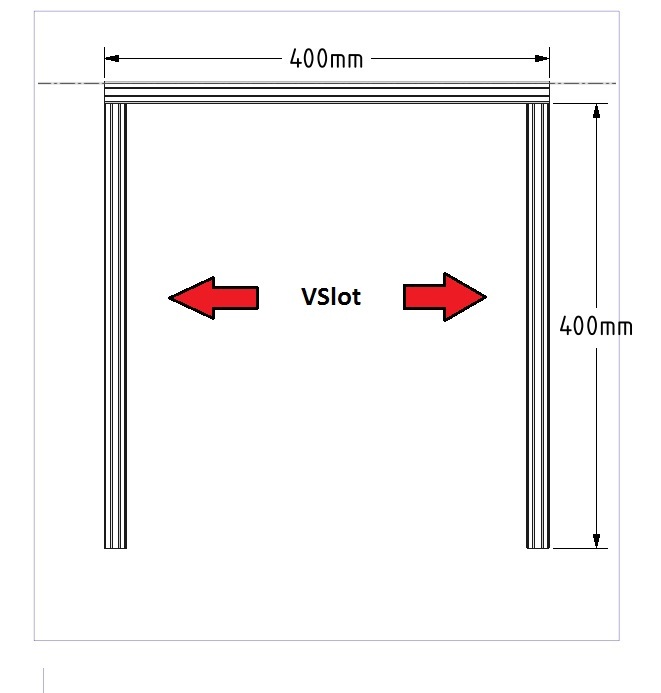 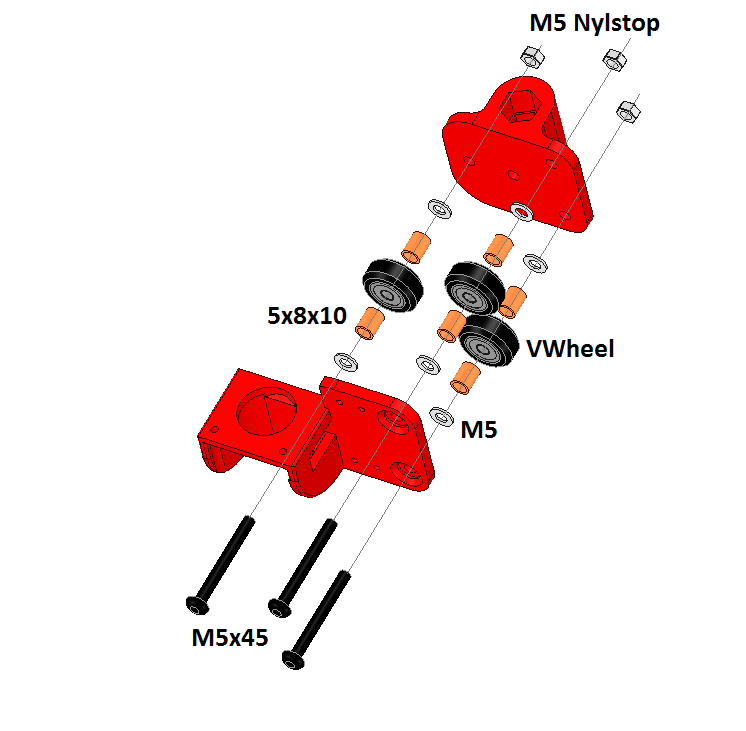 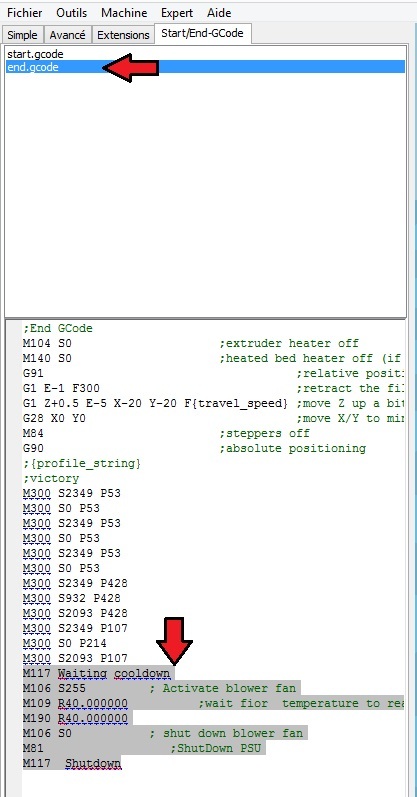 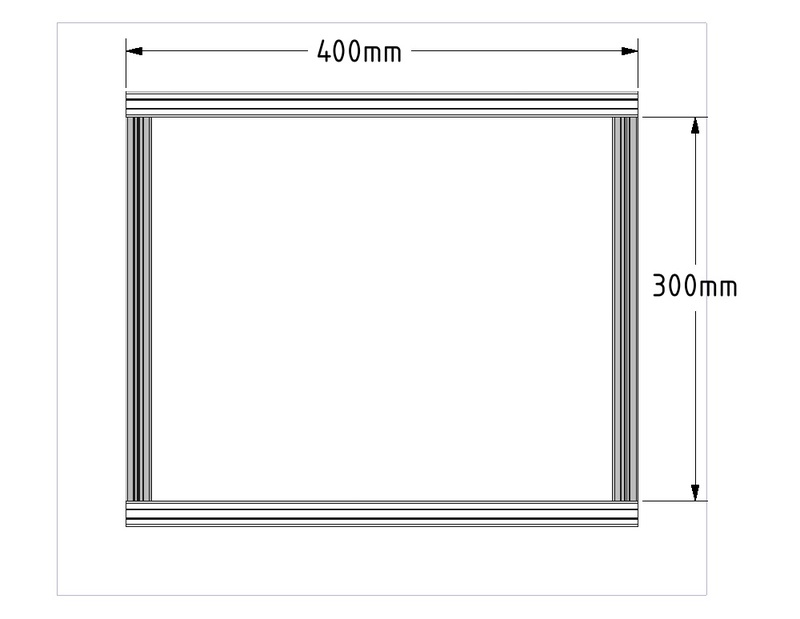 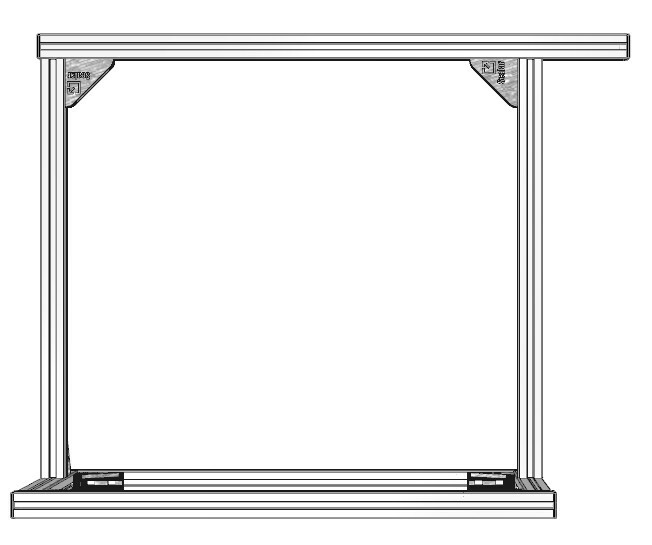 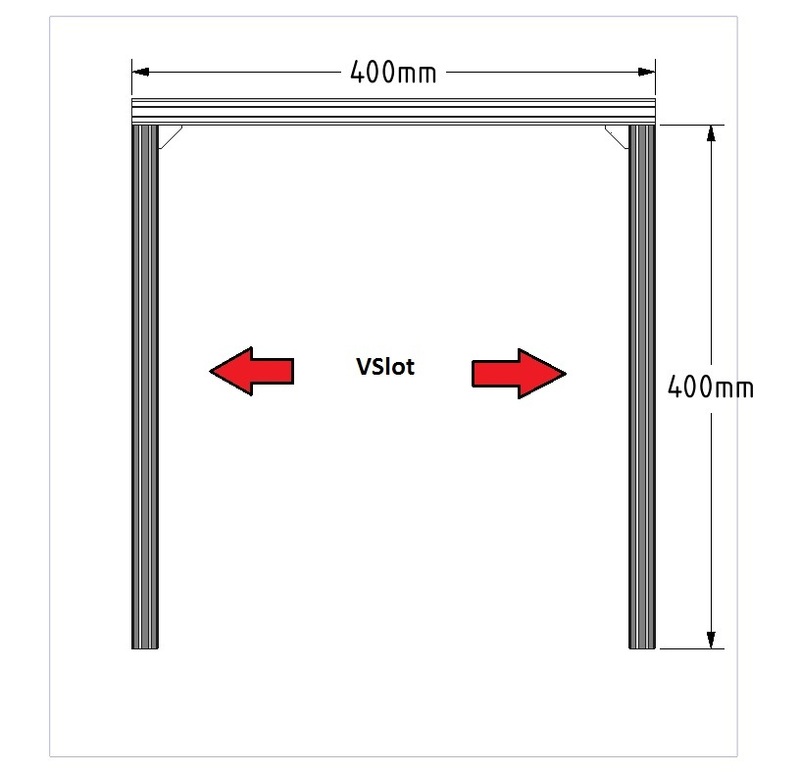 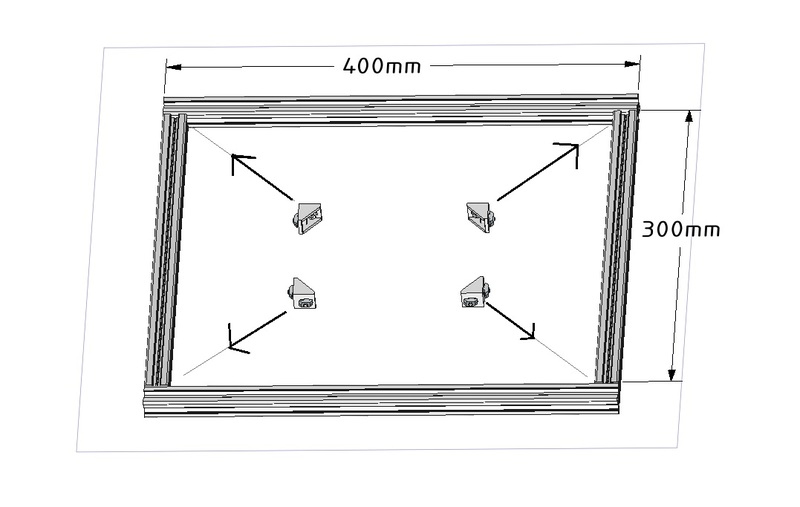 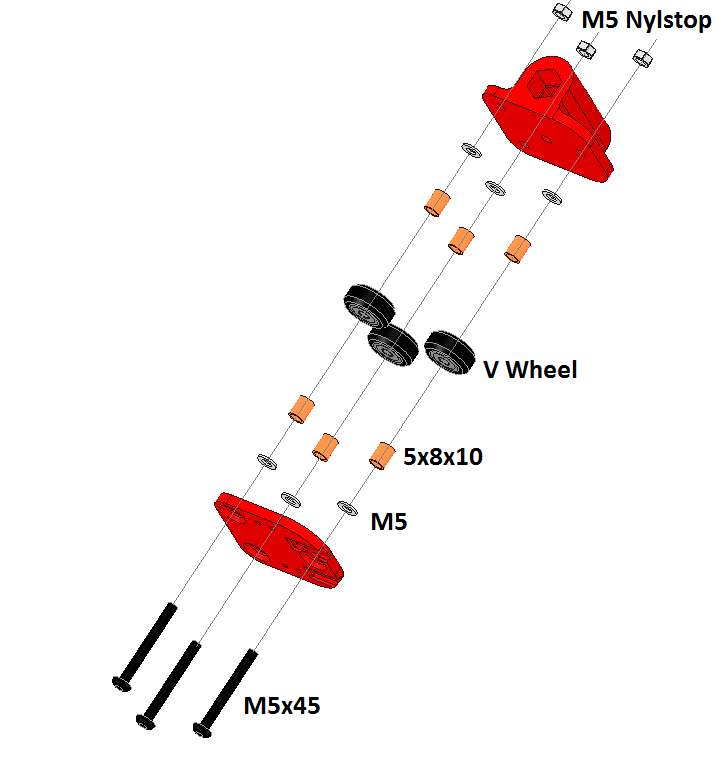 You will need to add the jumper where shown on the schematic below. 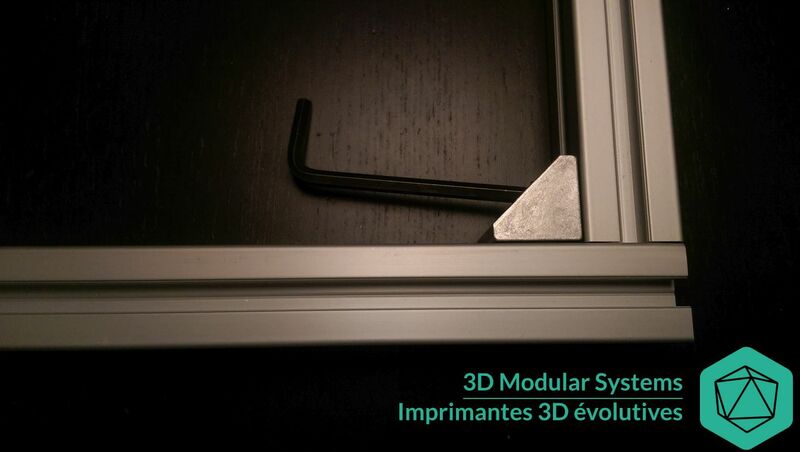 Cette entrée a été publiée dans Electronique, Upgrades, et marquée avec assembly, kit, module, PS_ON, le 4 April 2017 par Nicolas Rambaud. 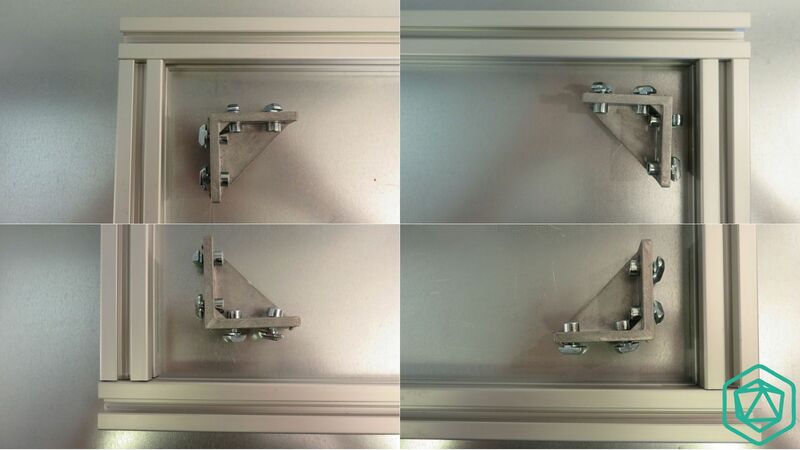 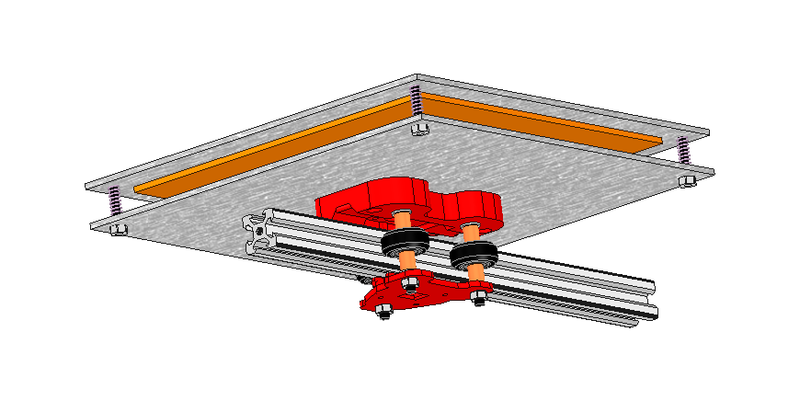 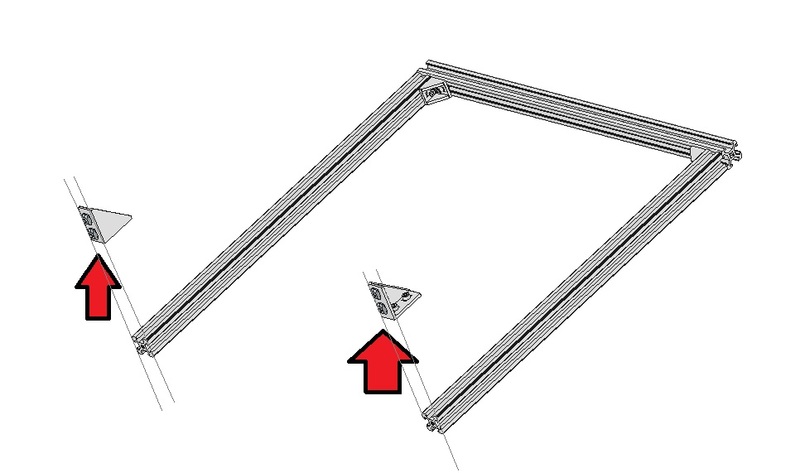 Note the location of the silicone heater wires as well as the orientation of the Y Carriage under the aluminium plate. 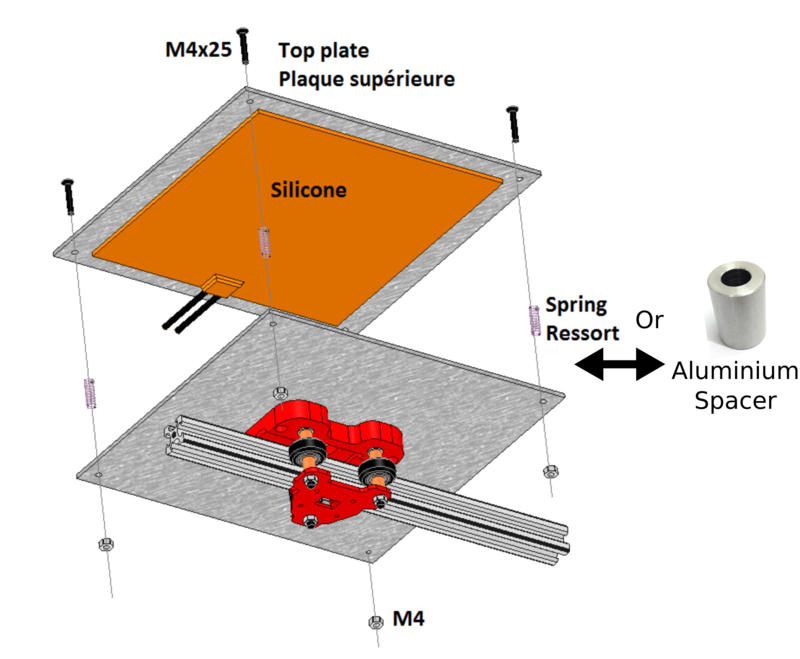 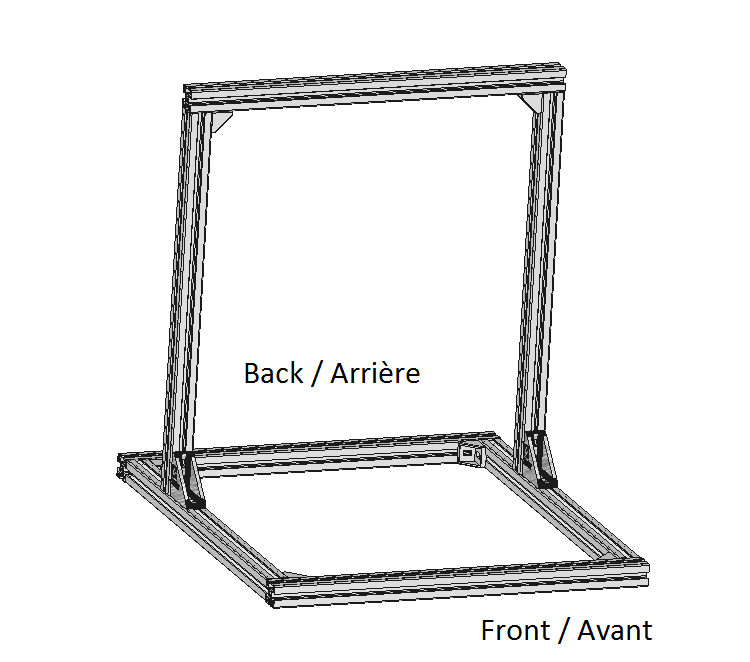 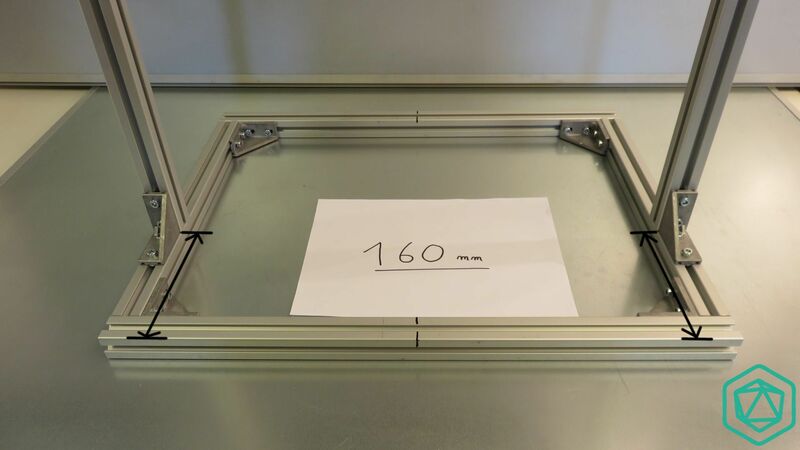 Cette entrée a été publiée dans Imprimante Scalar, Non classé, Scalar S, et marquée avec assembly, heat bed, plate, Scalar S, Y axis, le 14 November 2016 par Nicolas Rambaud. 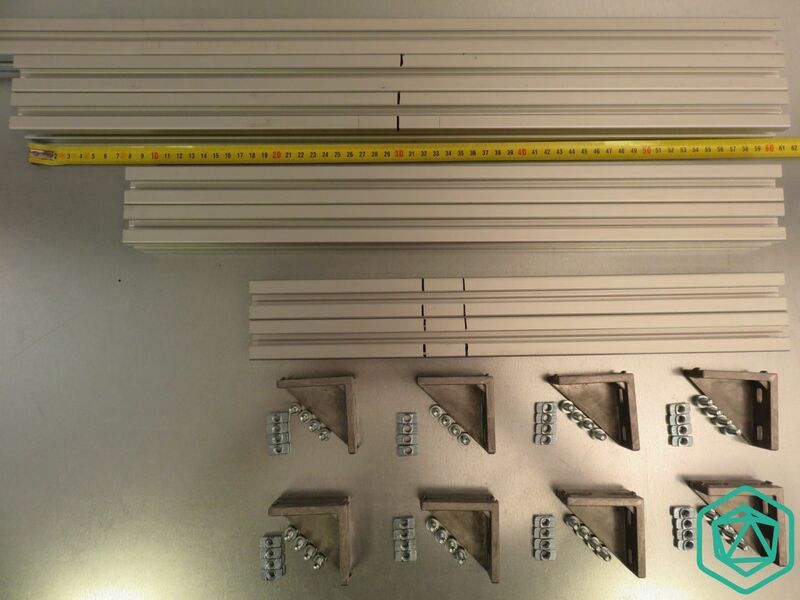 Each square holder is coming with a set of 4 M6x12 screws and 4 T-Nuts .
. Now pre-assembled each of the 4 square holders with their set of screws + T-Nuts. 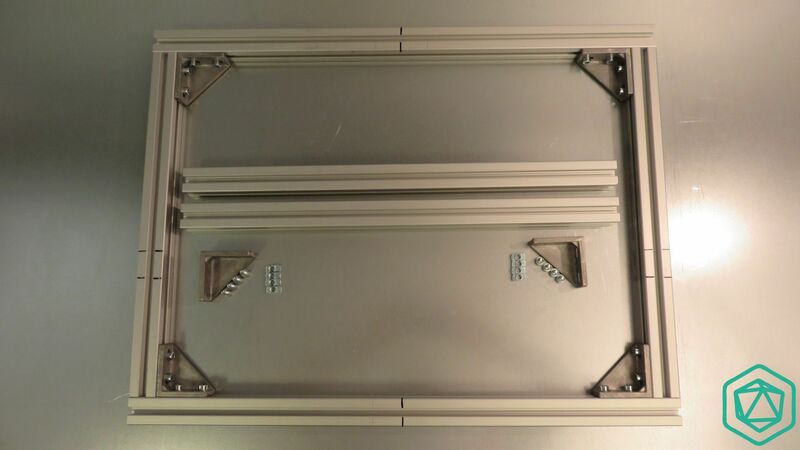 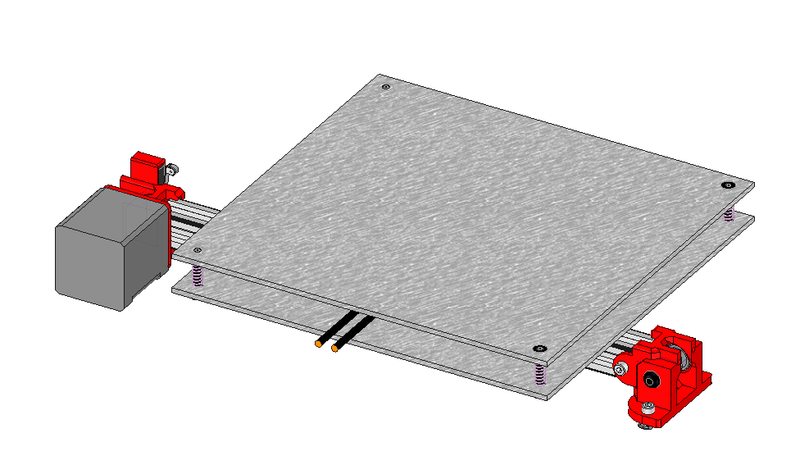 Here is the chassis base once every square holders are in place. 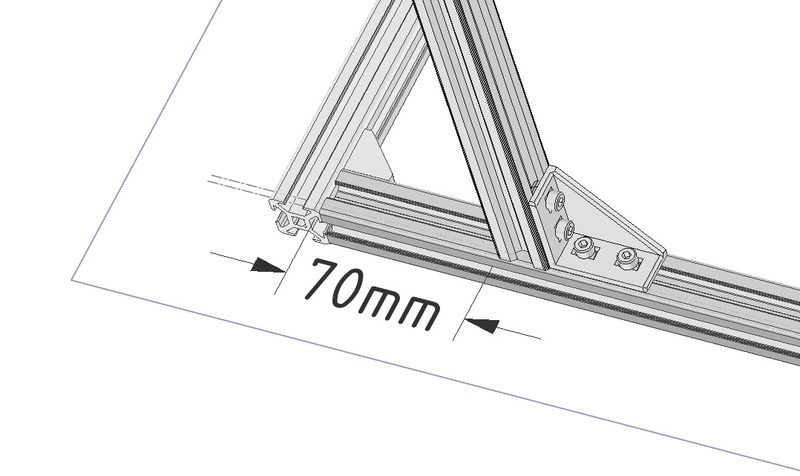 So 160mm is from outside of the base and 130mm (or 128mm) is from the inside. 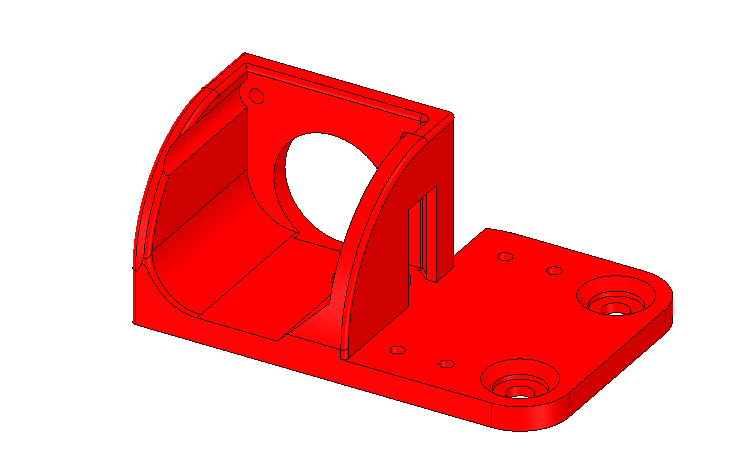 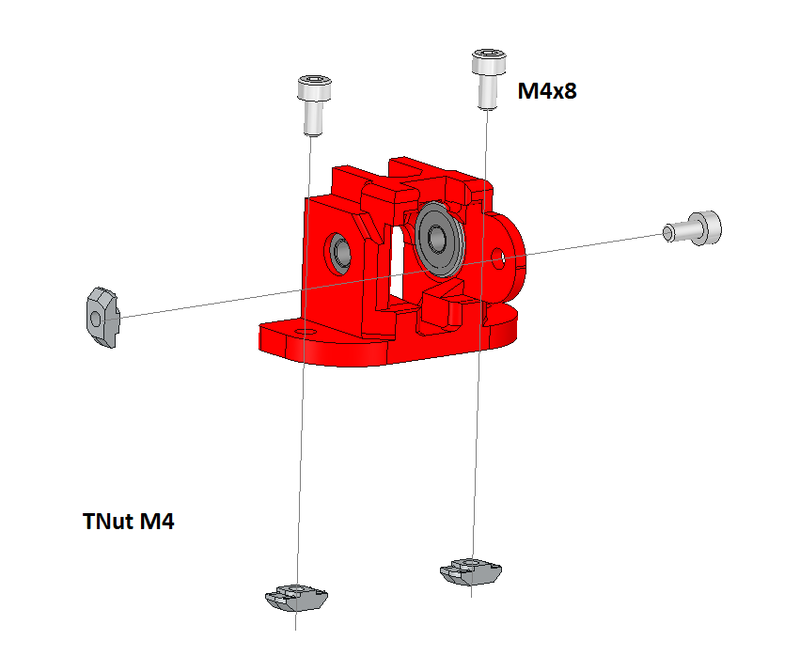 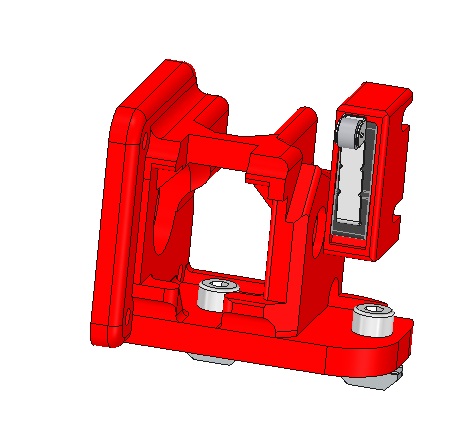 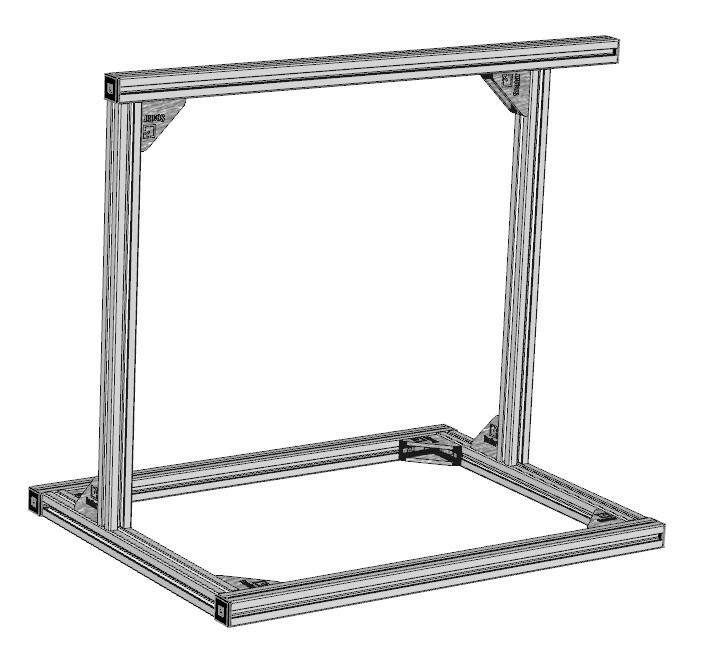 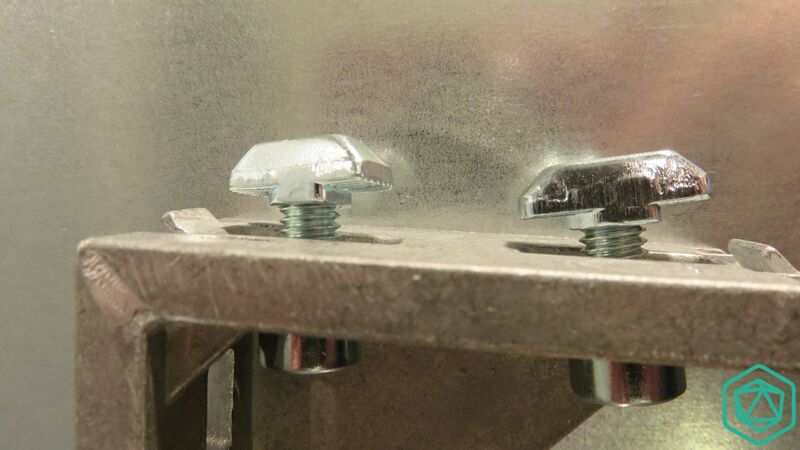 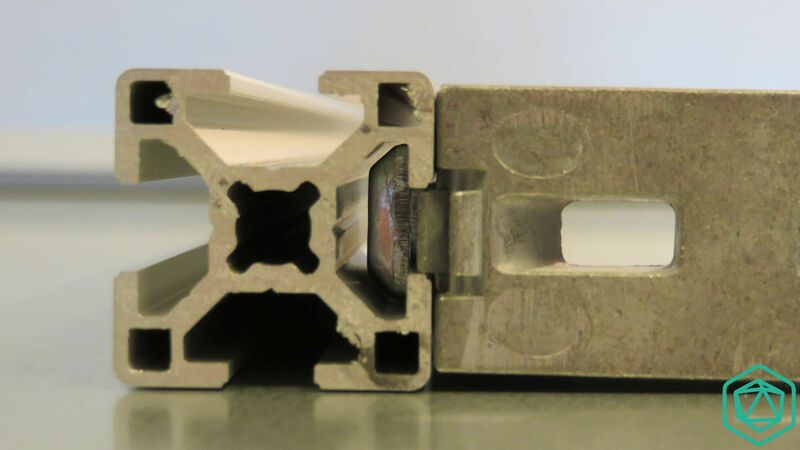 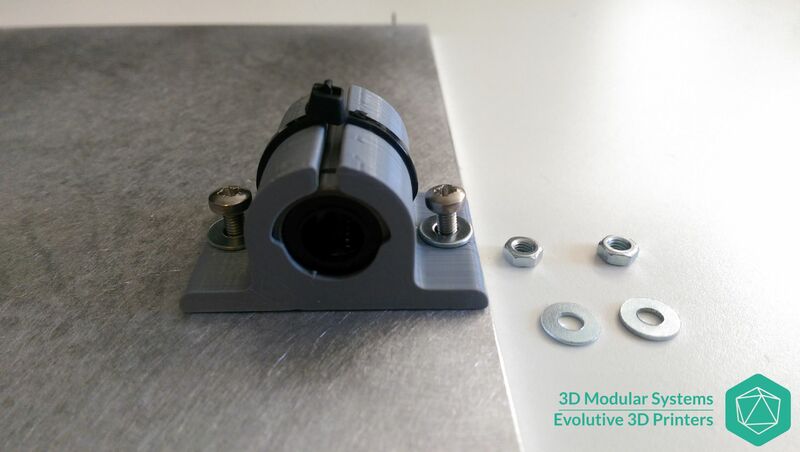 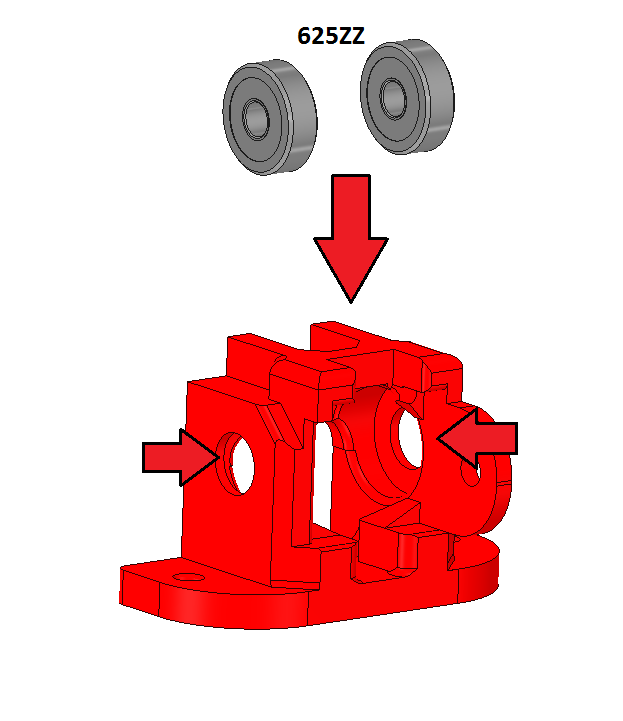 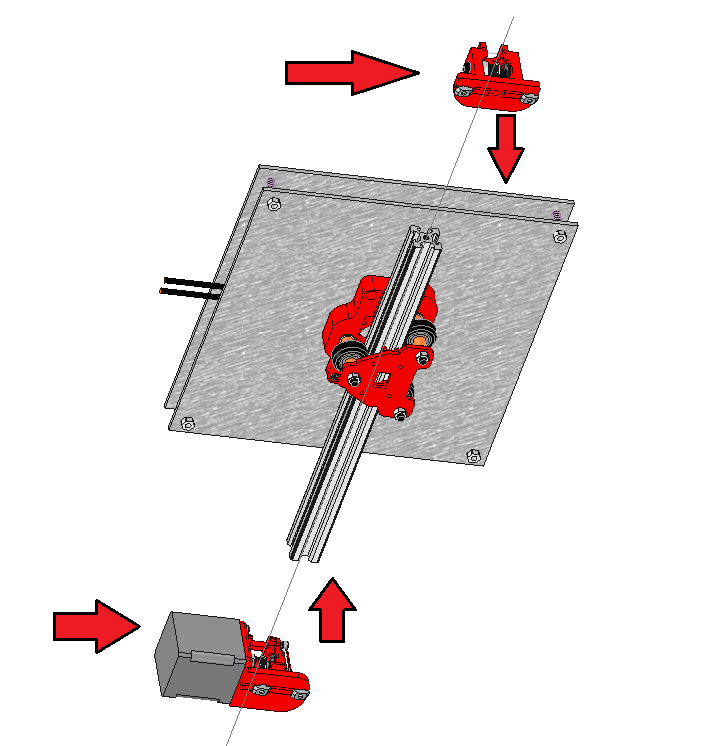 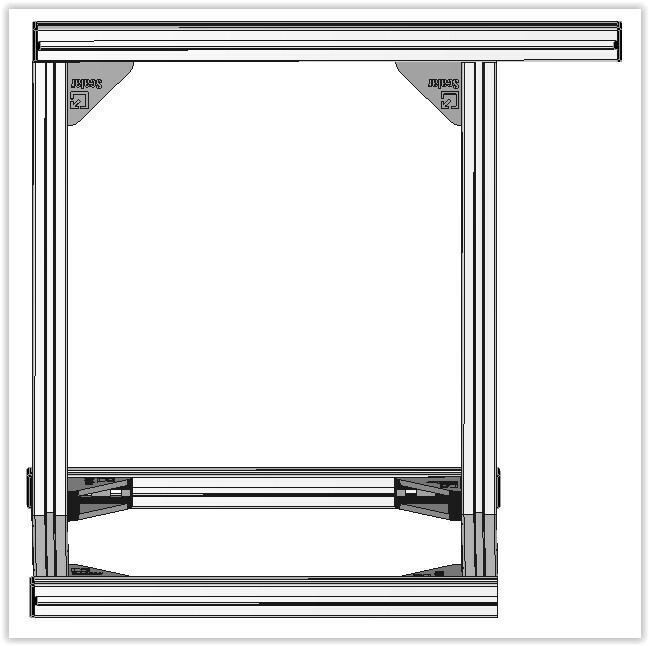 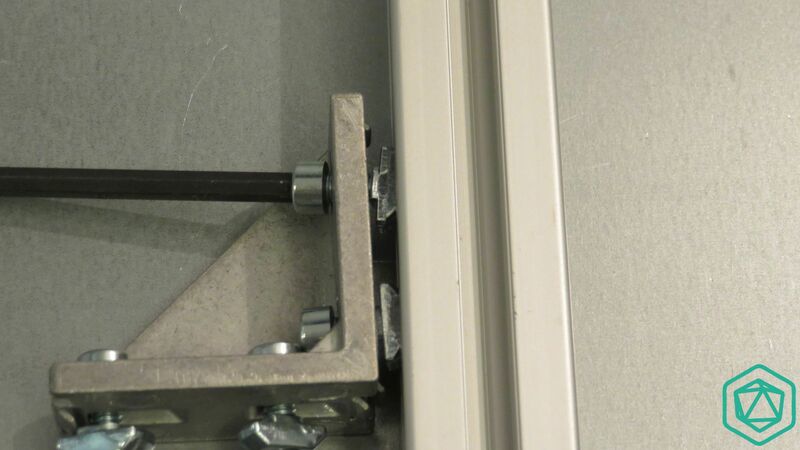 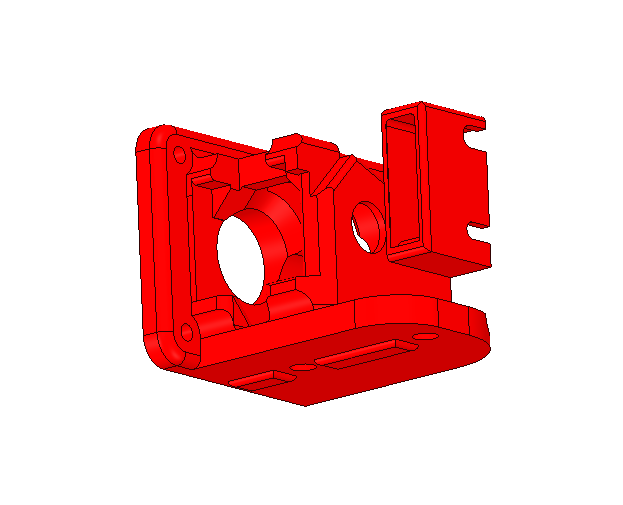 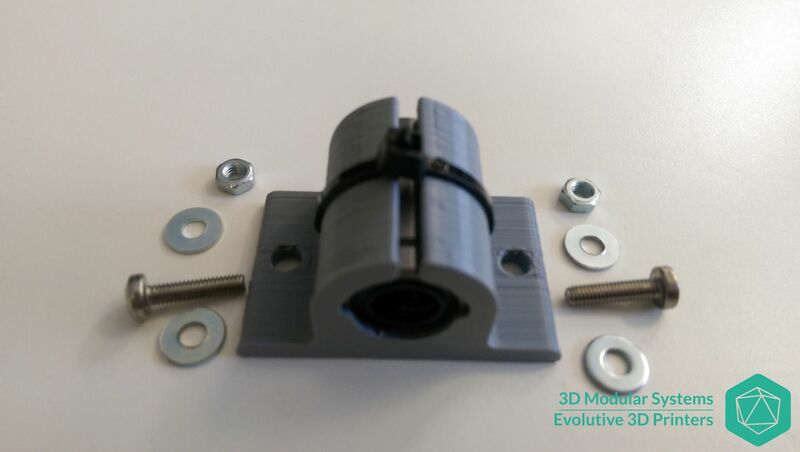 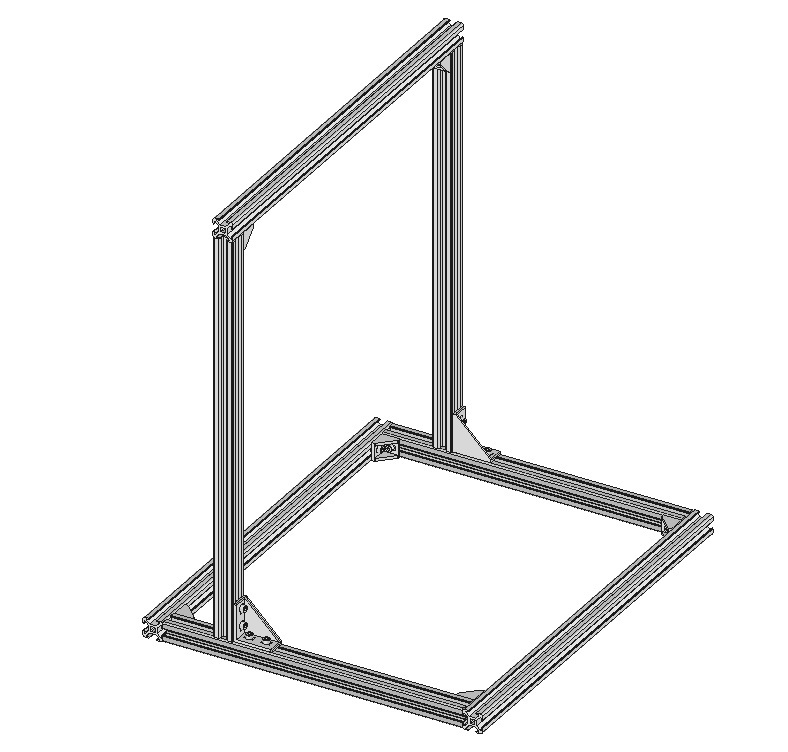 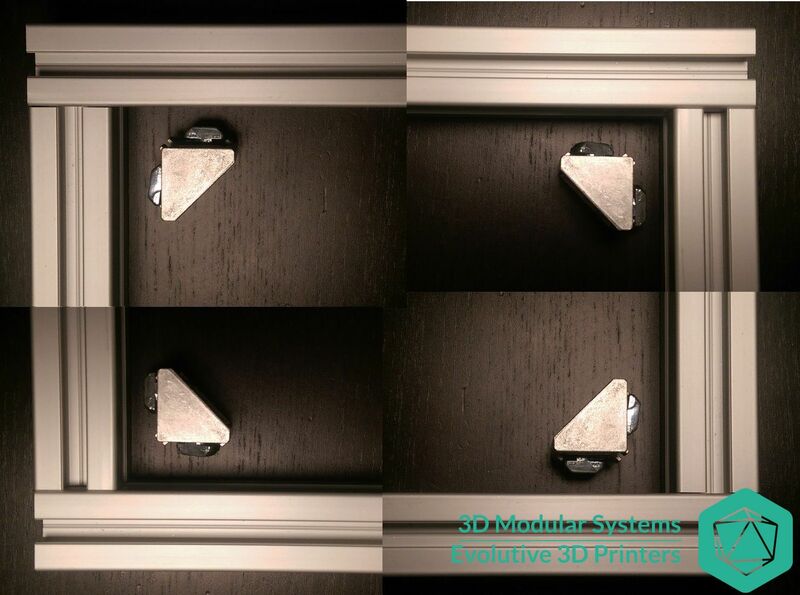 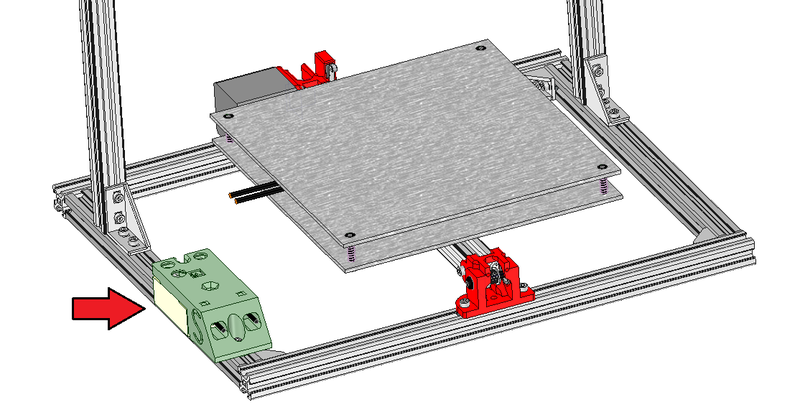 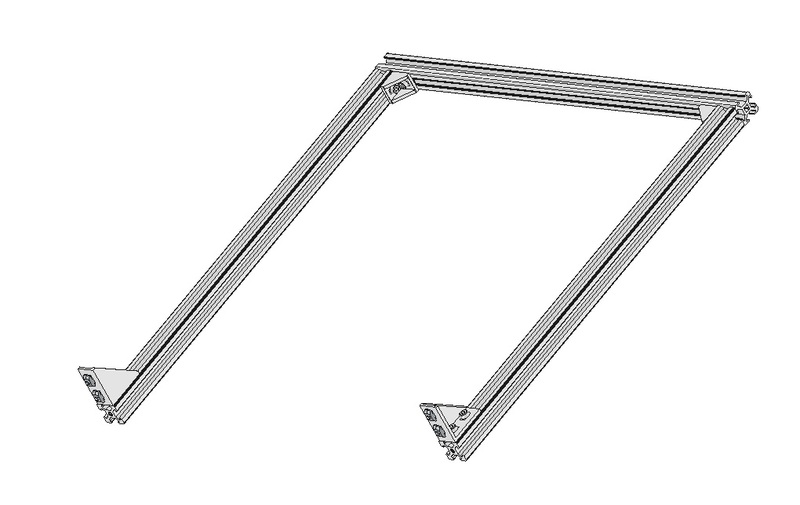 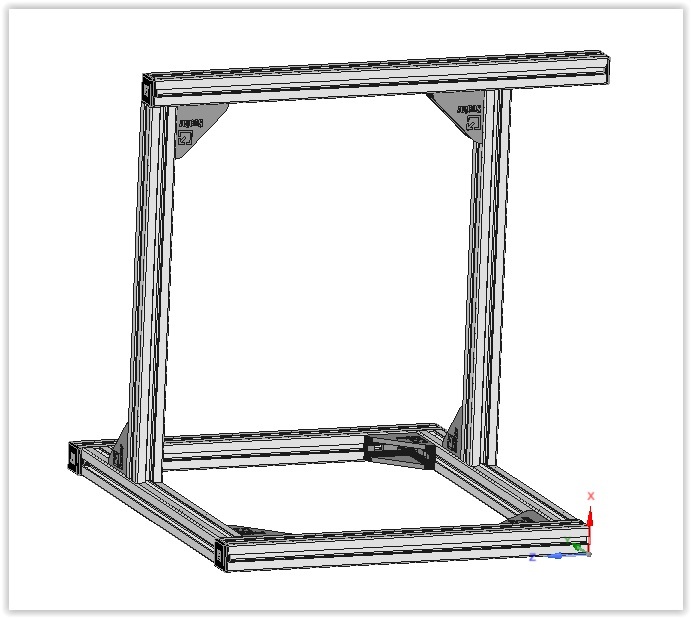 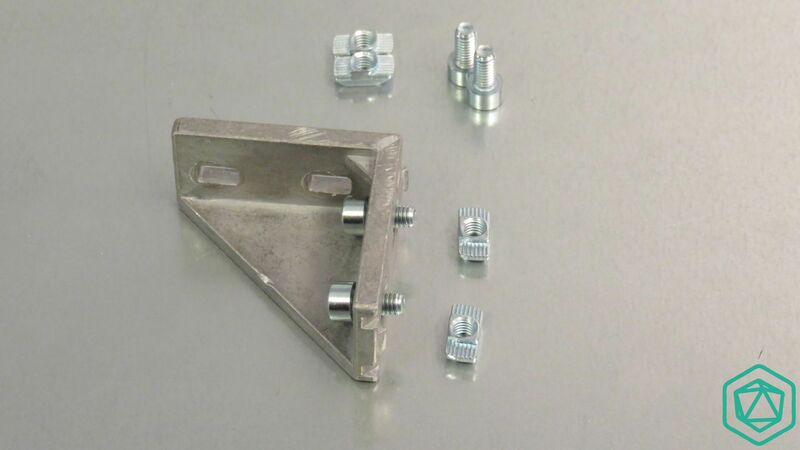 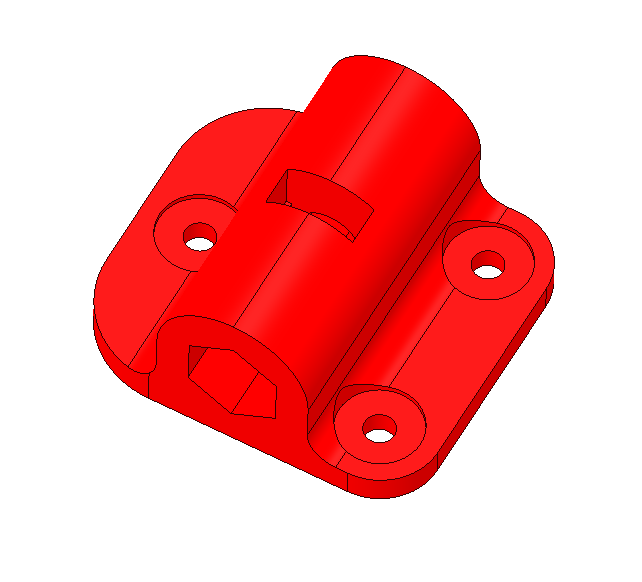 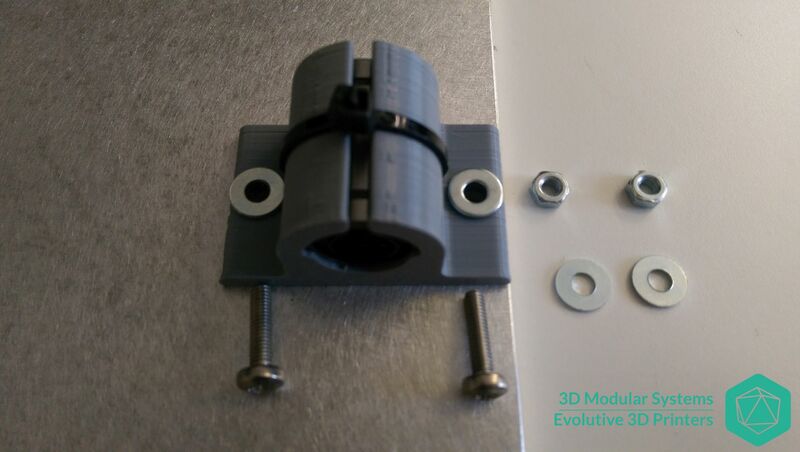 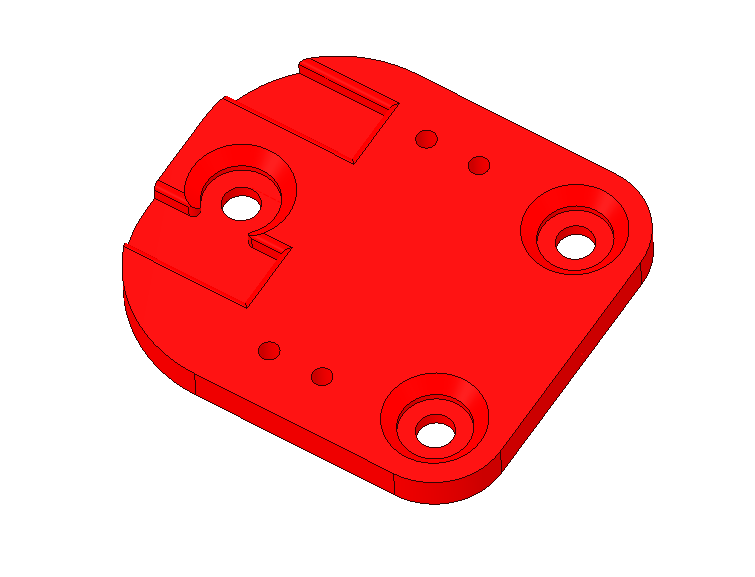 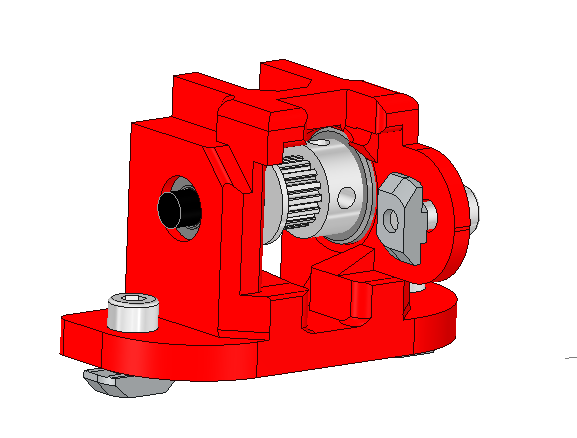 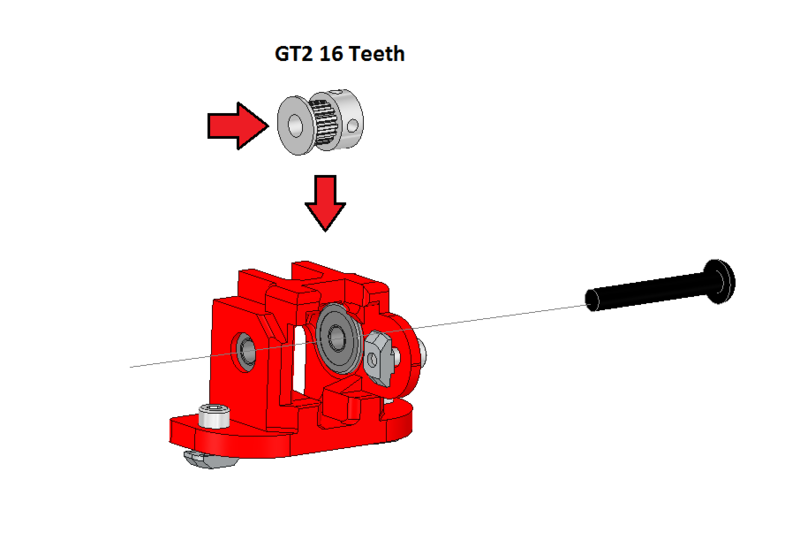 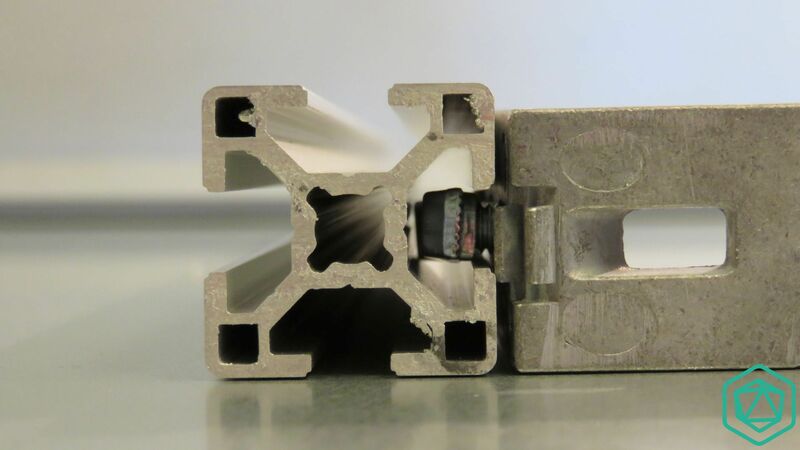 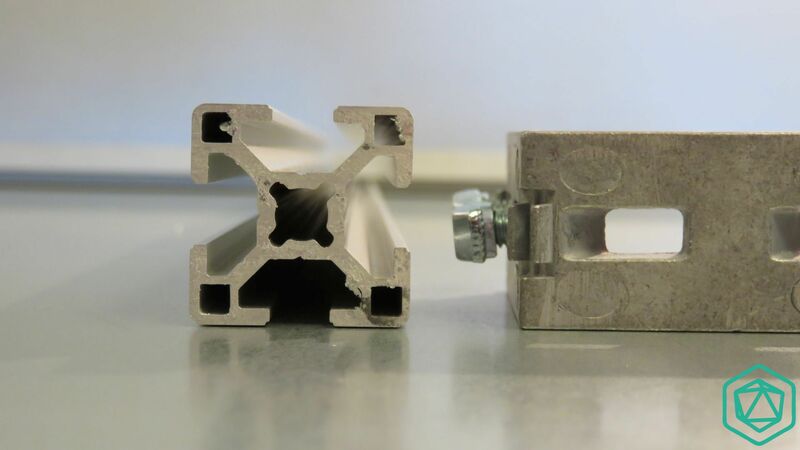 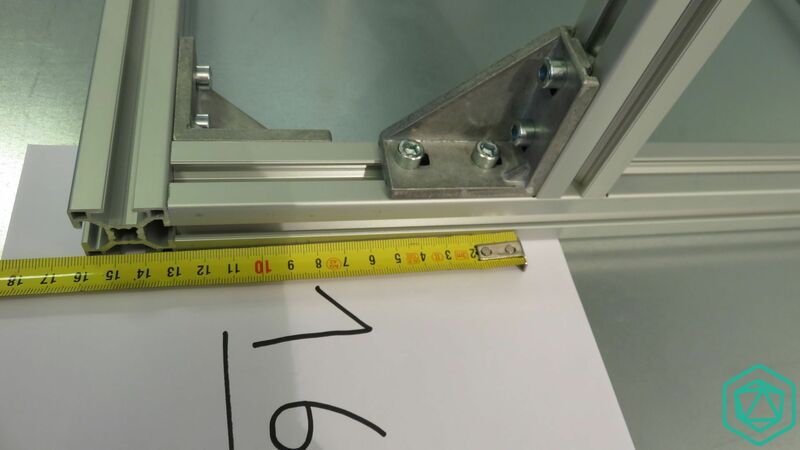 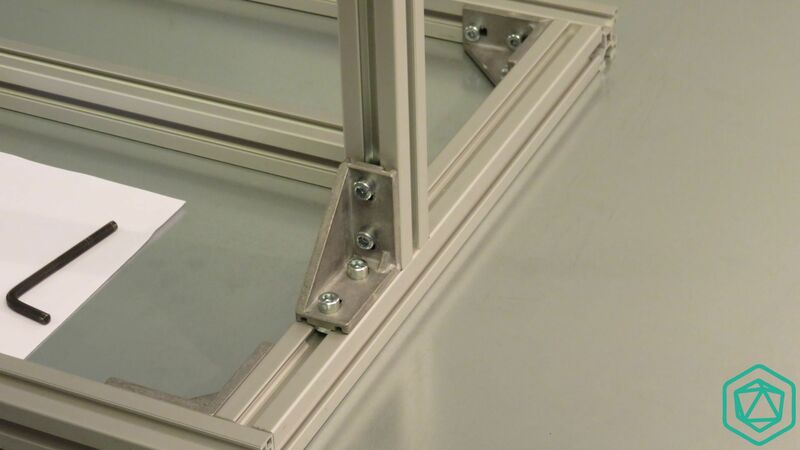 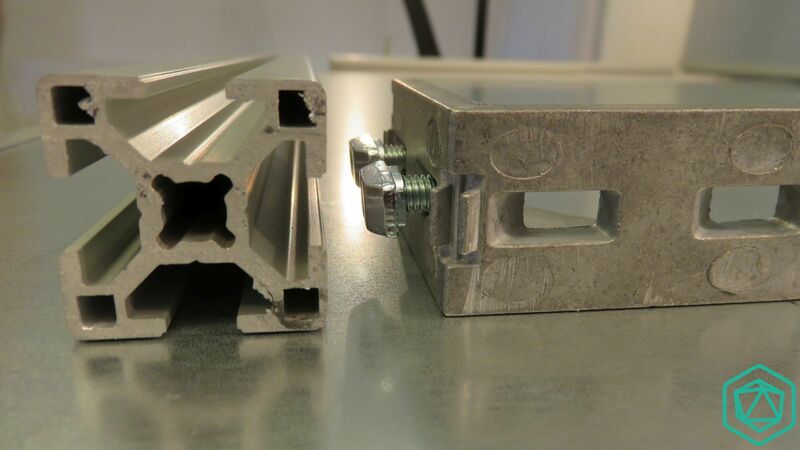 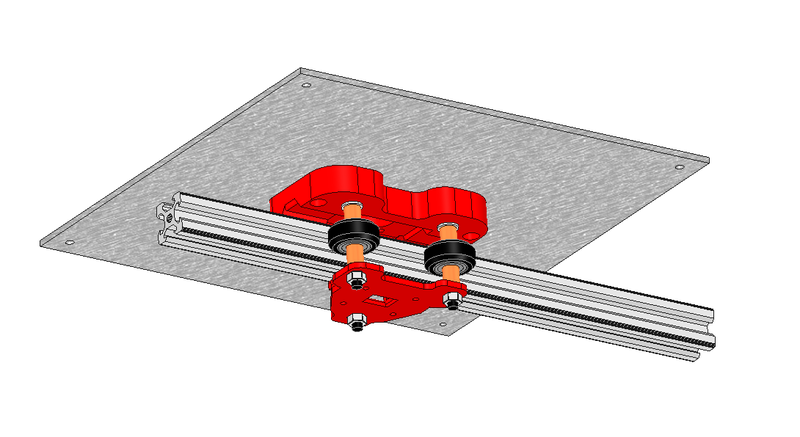 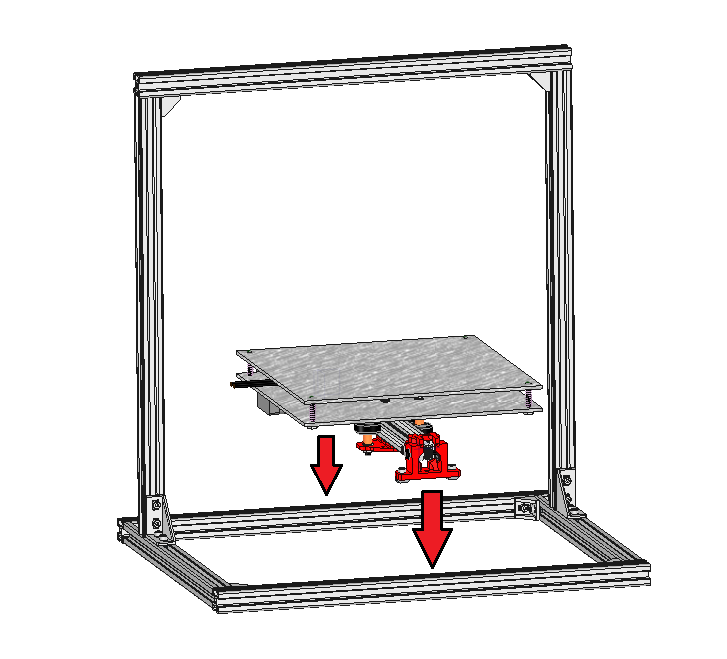 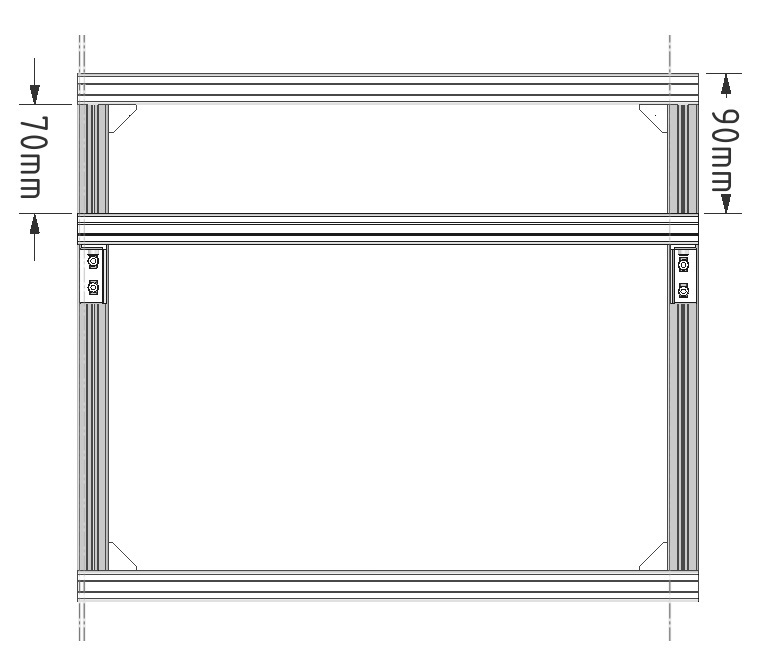 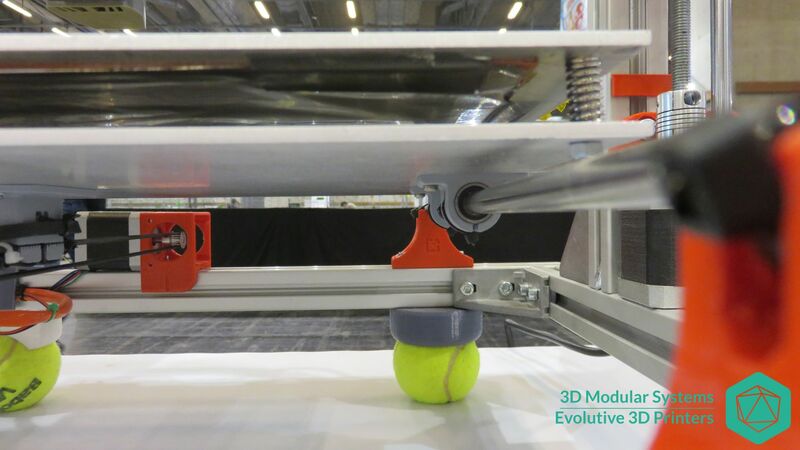 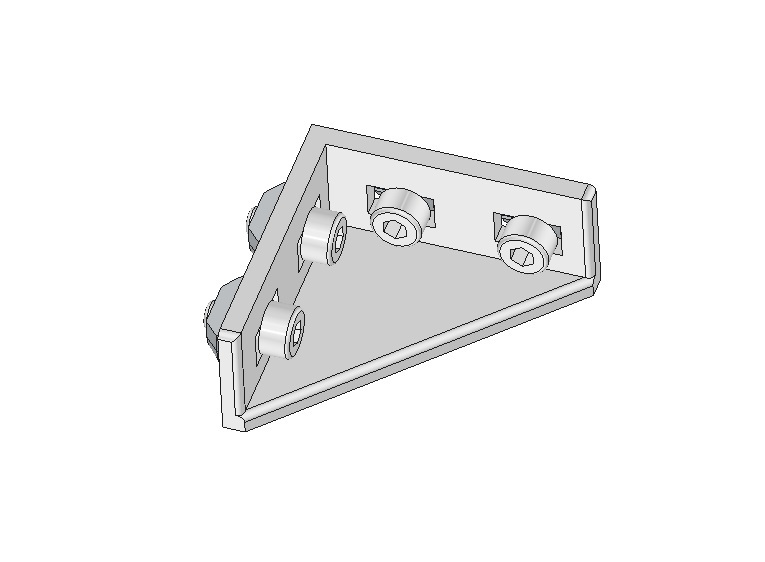 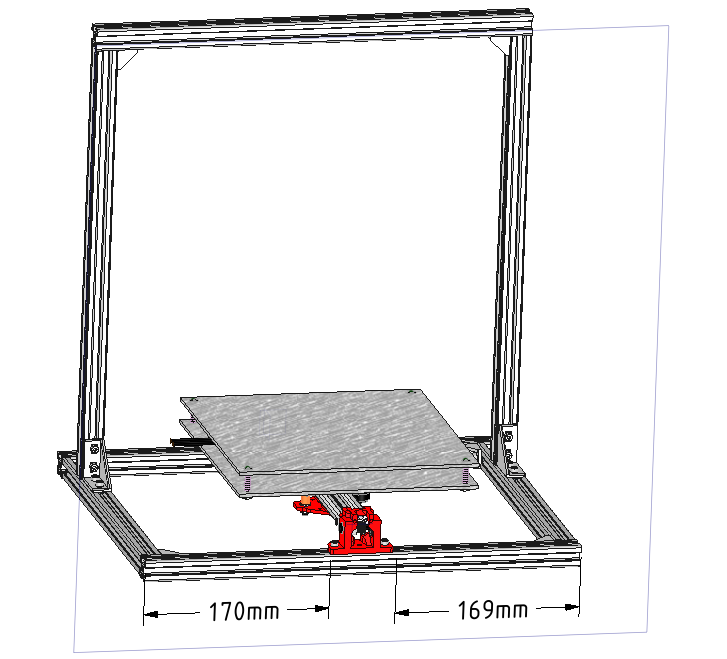 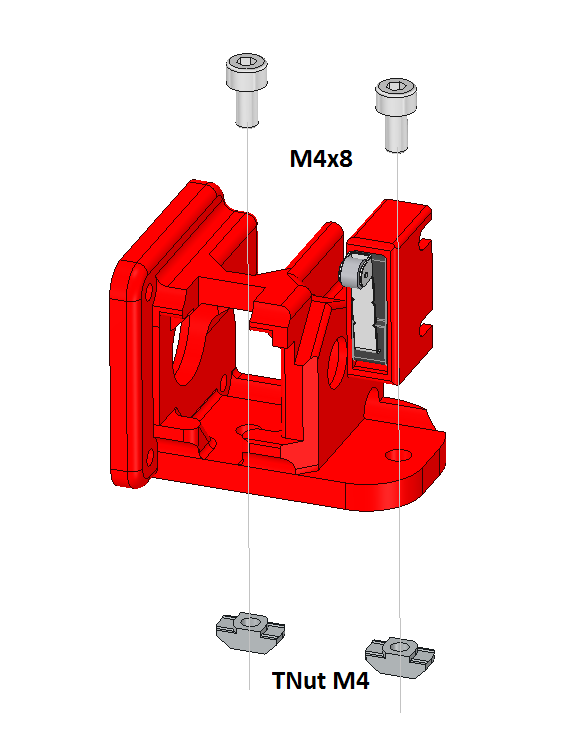 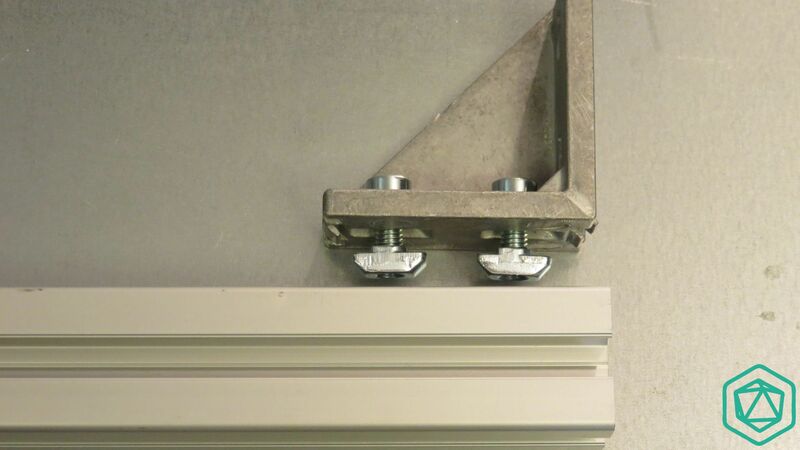 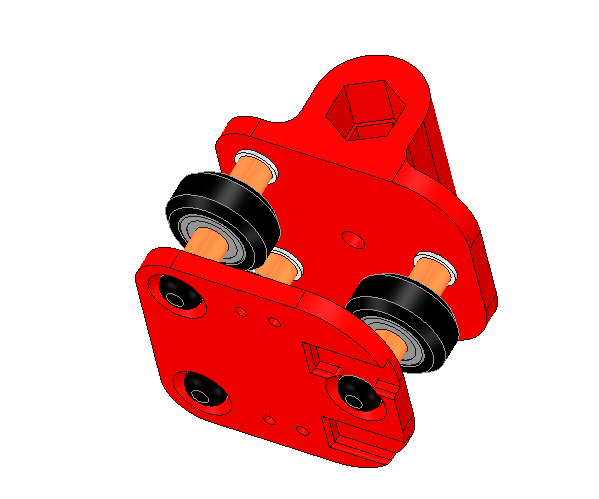 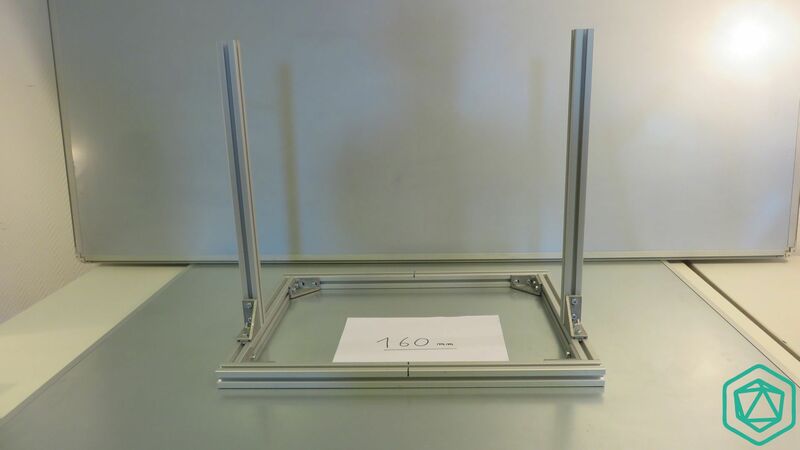 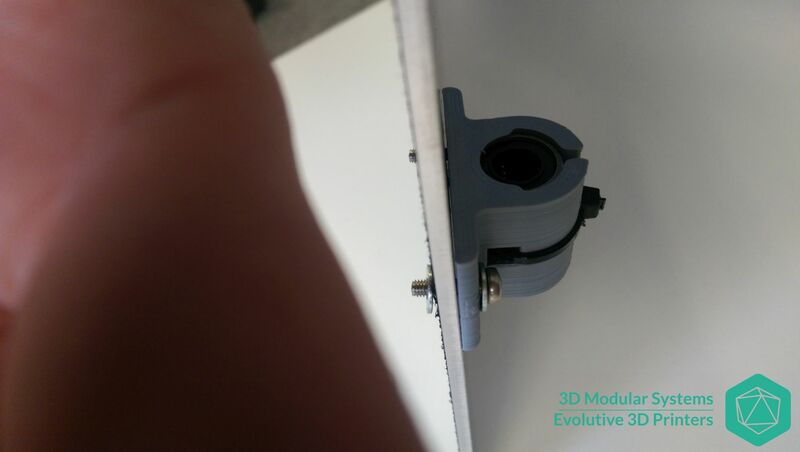 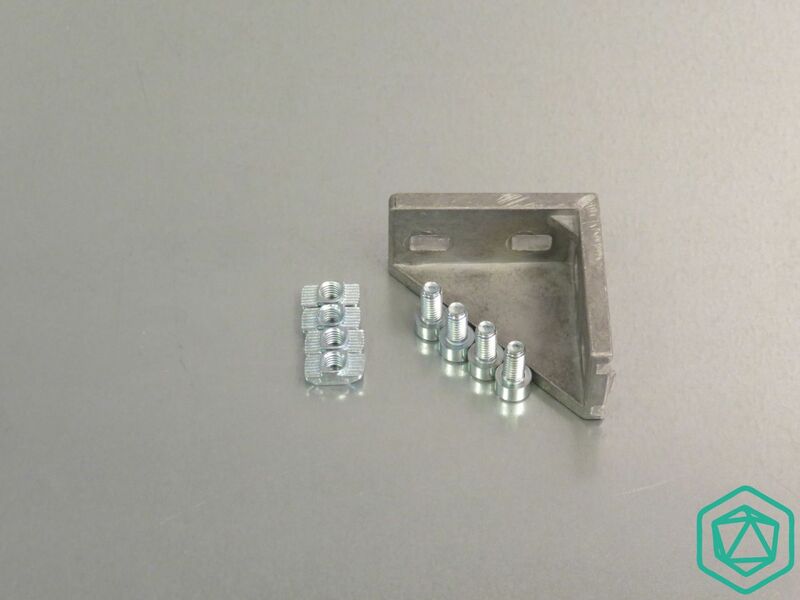 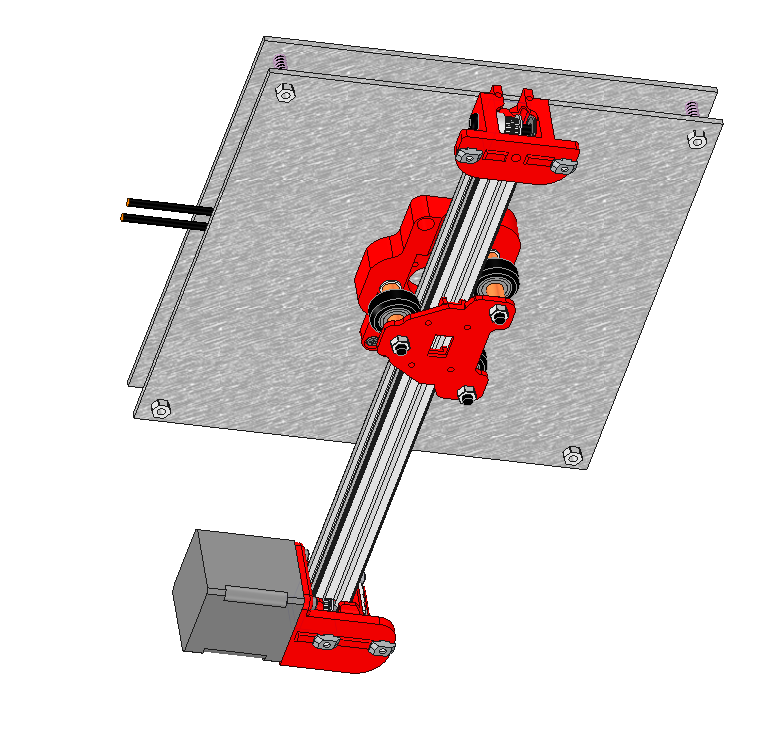 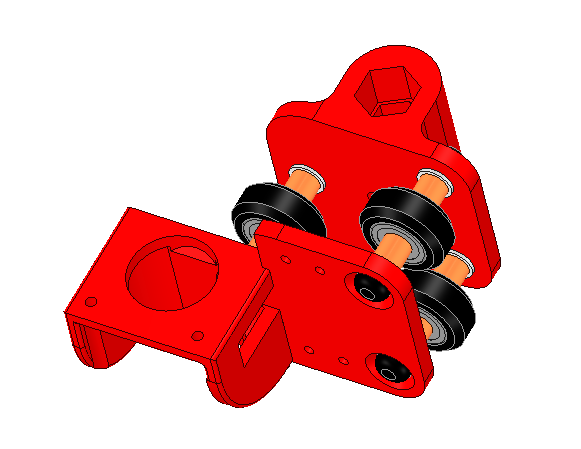 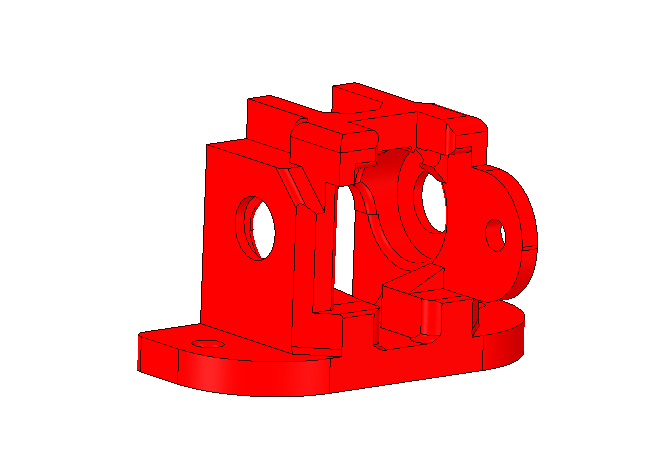 For this step, take the longer extrusion profile (50cm) that should be remaining and place it on top of the side mounts.Use a pair of square holders to fix it. 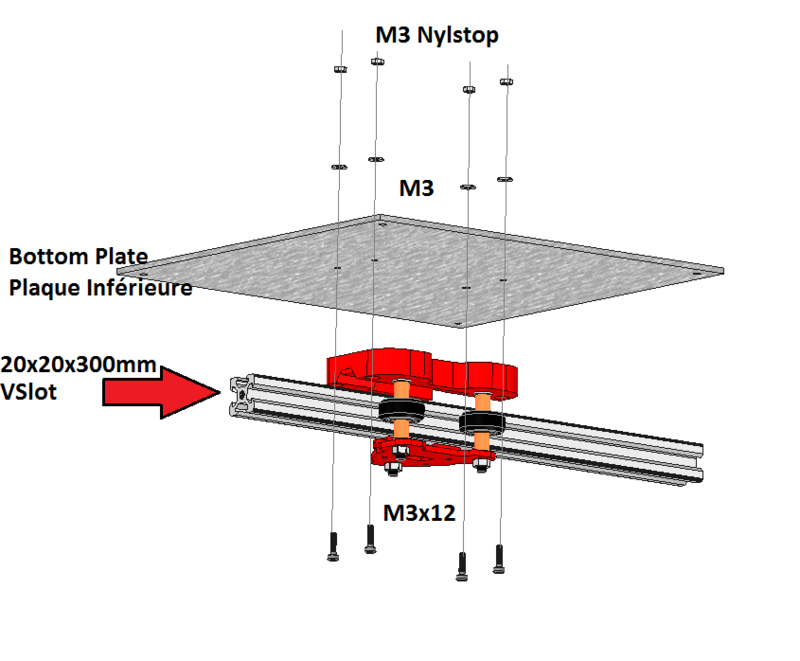 Cette entrée a été publiée dans Chassis, Imprimante Scalar, Scalar M, Scalar M, et marquée avec 3030, assembly, chassis, Scalar M, le 22 September 2015 par Nicolas Rambaud. 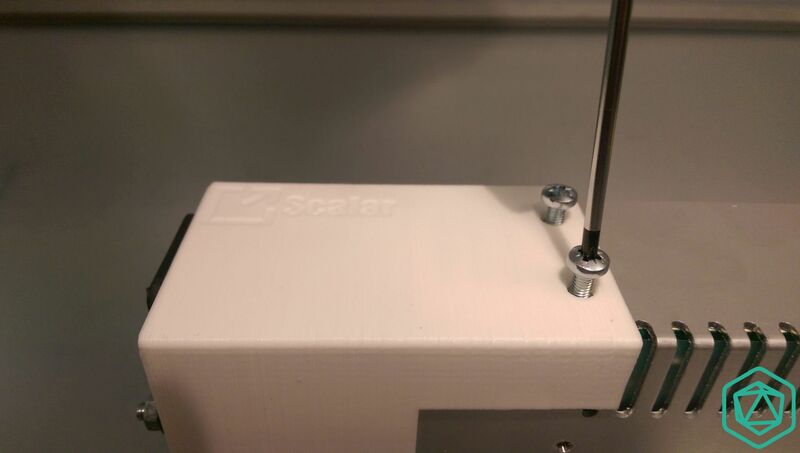 Insert 2 M4x6mm screws inside the dedicated holes just next to the voltmeter LCD. 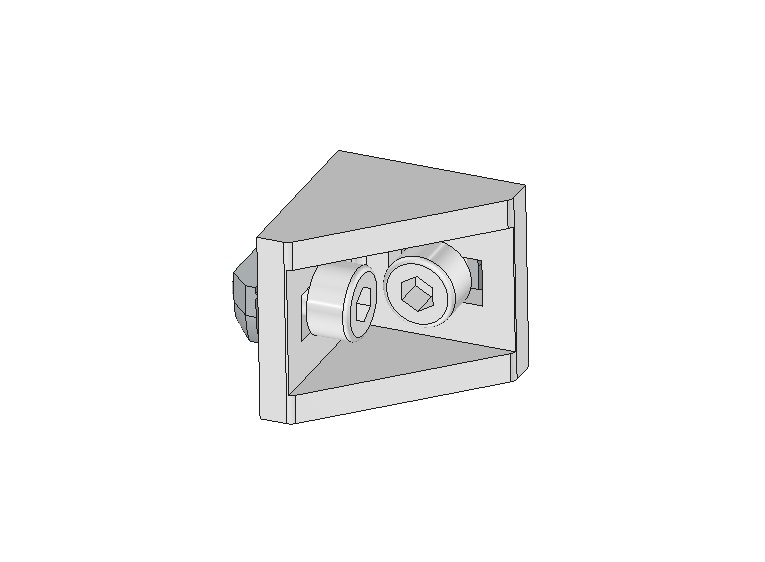 The screw head should be inside the cover letting the screw thread out of the cover. 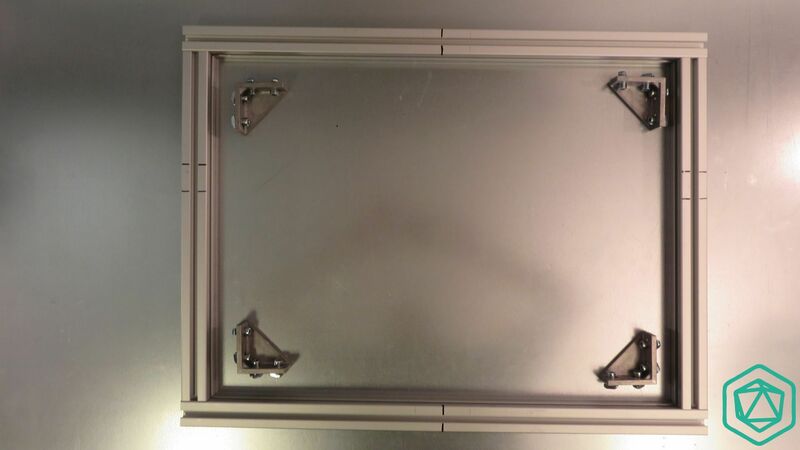 Insert the power supply connector inside the dedicated hole and make sure the screws can go threw it. 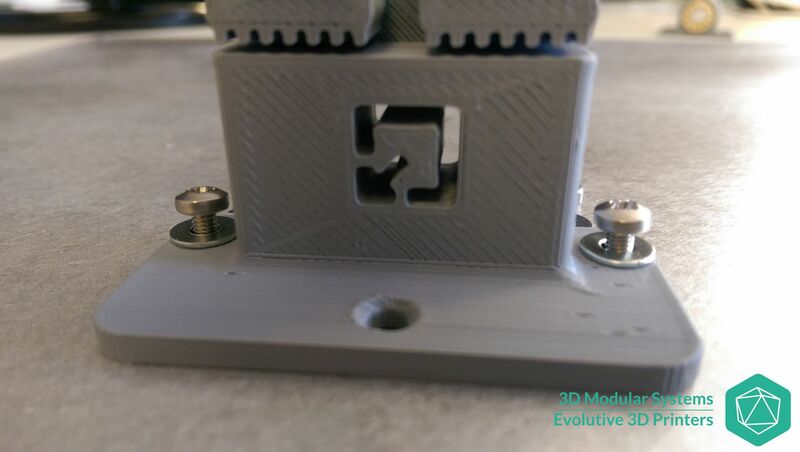 Screw 2 M4 nuts on the M4 Screws thet goes out of the cover as shown on the picture. 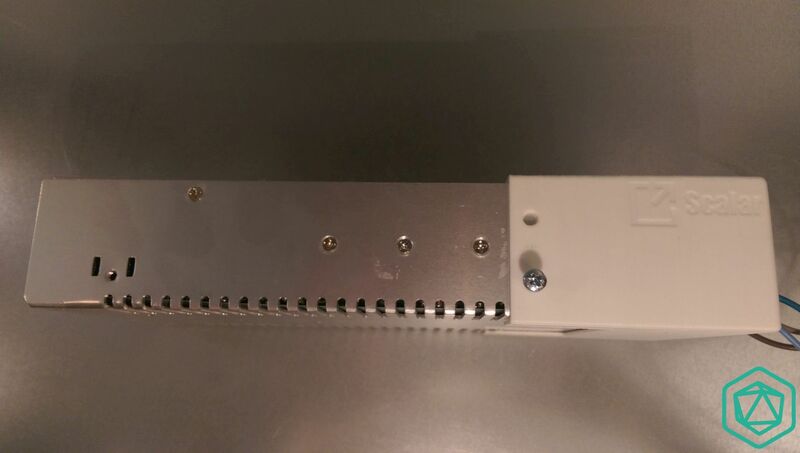 Here is the inside view of the cover with the M4 screw heads that must be accessible with a screw diver in order to tight them up with their nuts. 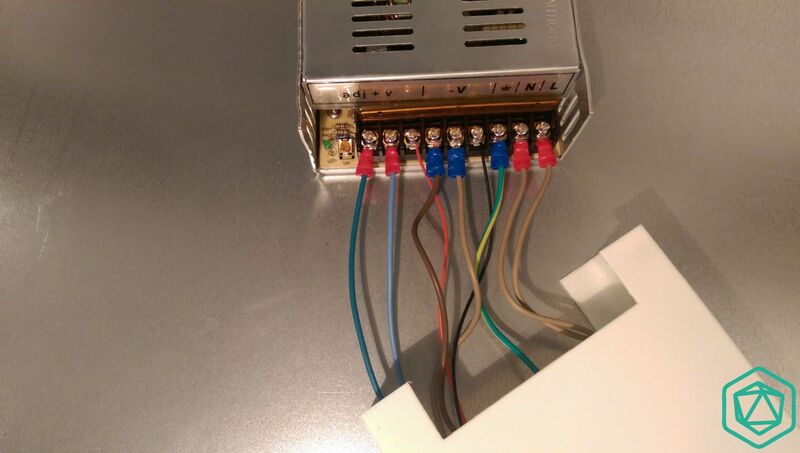 Take the 15cm Yellow/Green cable and plug it on the side of the IEC connector the most inside the cover part. 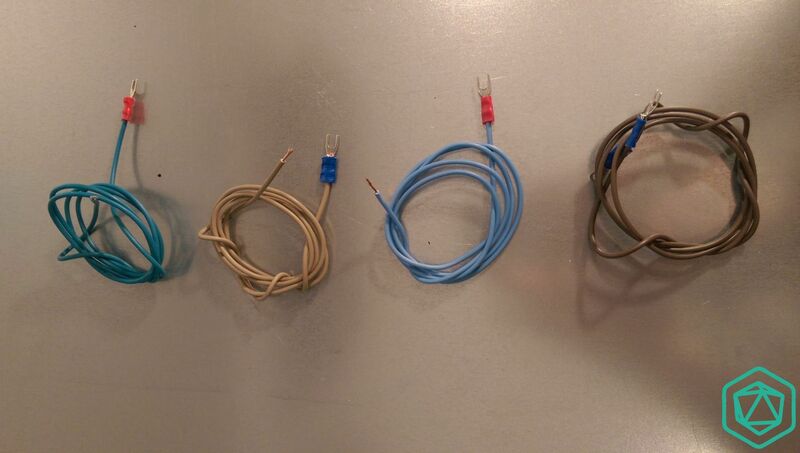 Take the 2 small 6cm long phase wires (here with blue terminals), and connect them just next to the Ground wire (yellow/green). 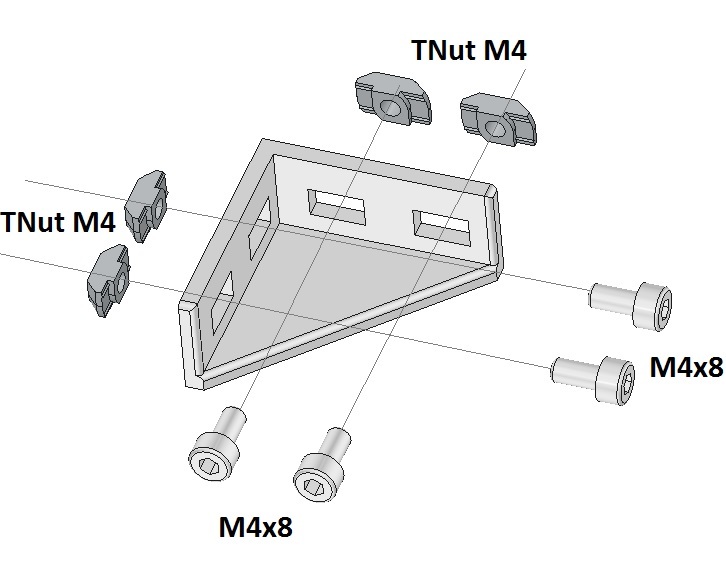 Now connect the wire terminals on the connection pin on the same rows the same way as in the picture. 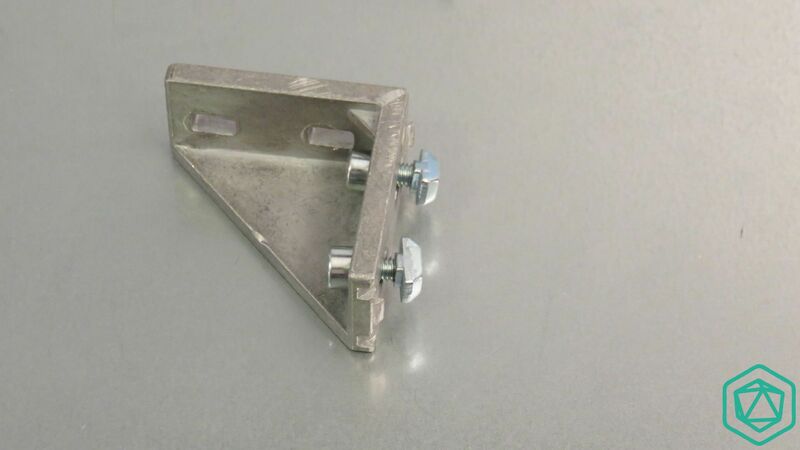 It’s more easy to connect them like the picture in a crossed over manner. 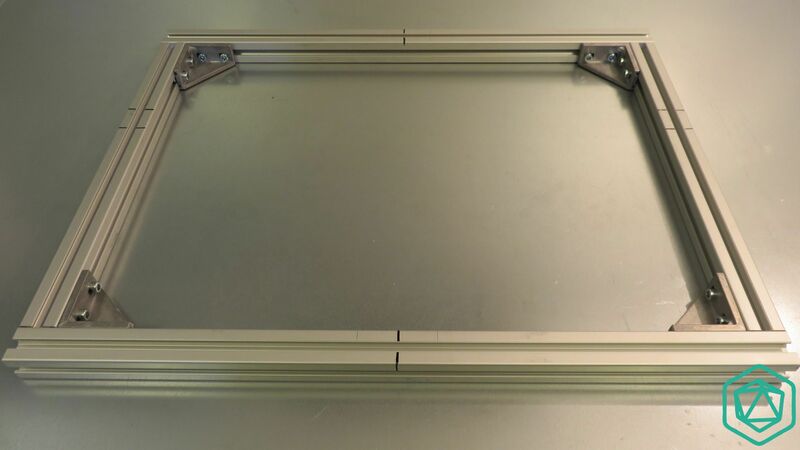 Align the top cover as shown on the picture, with the power supply connector on the right side and the power supply terminals facing you. 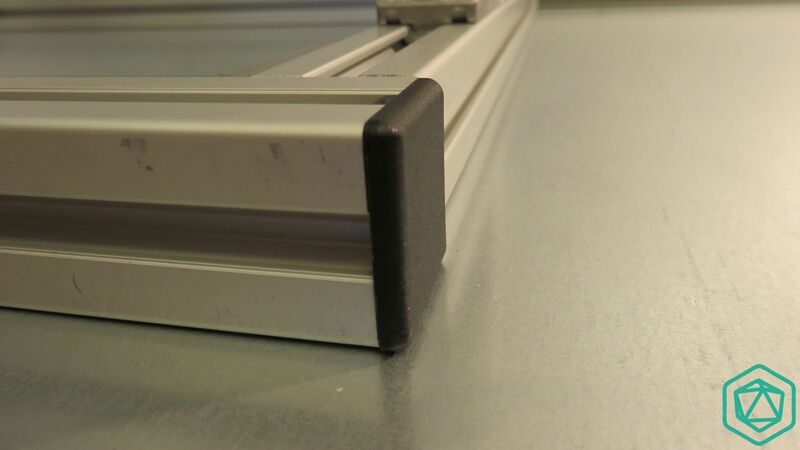 You can also open the security cover on the power supply in order to have access to the terminals. 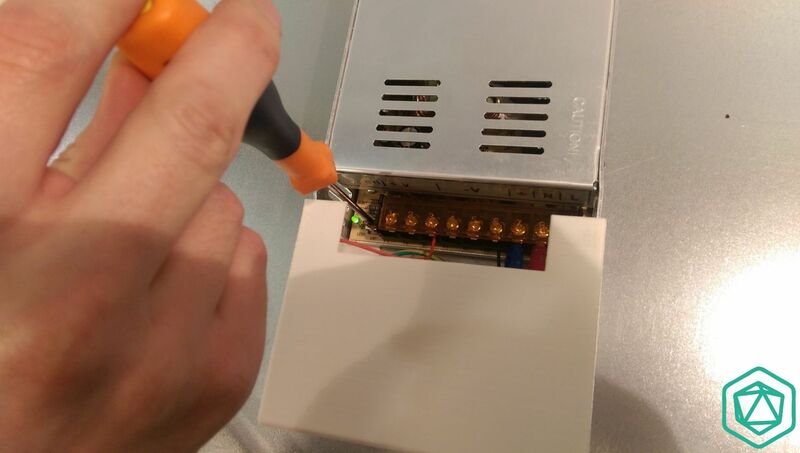 Connect the ground wire on the dedicated terminal on the power supply. 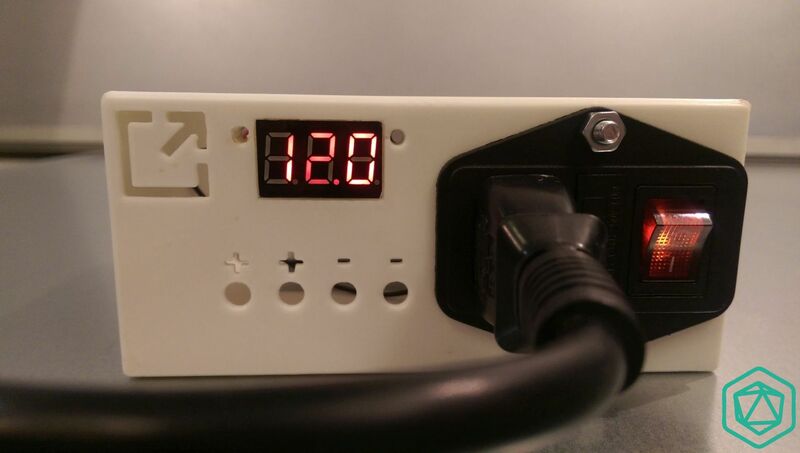 2 wires must be left, they are the ones of the Digital VoltMeter. 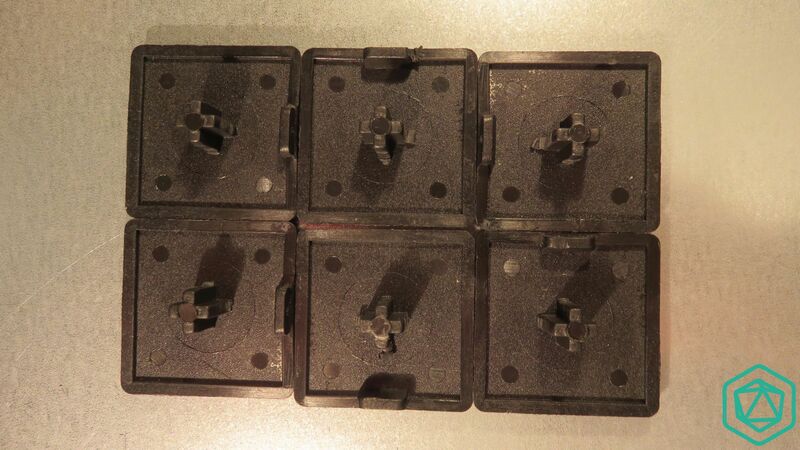 On the power supply side, you will find 6 free terminals. 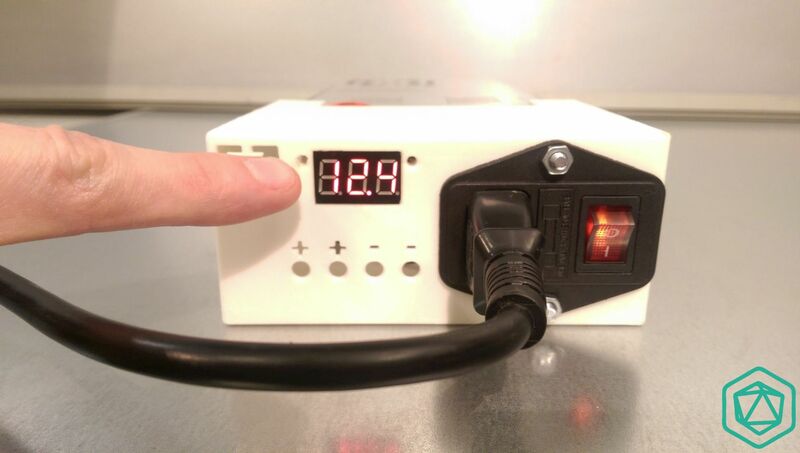 You need to connect the Red wire from the digital Voltmeter to one of the +V terminals. 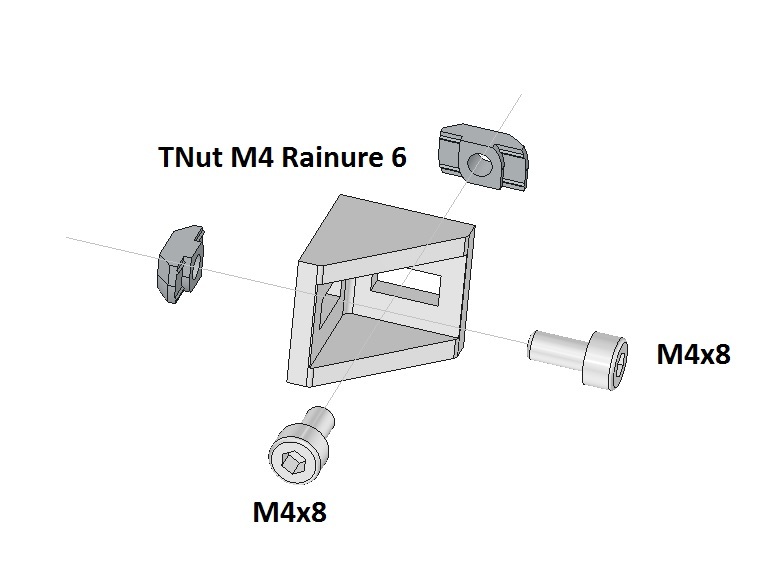 You can pick 1 of the 3 terminals on the left as you want. 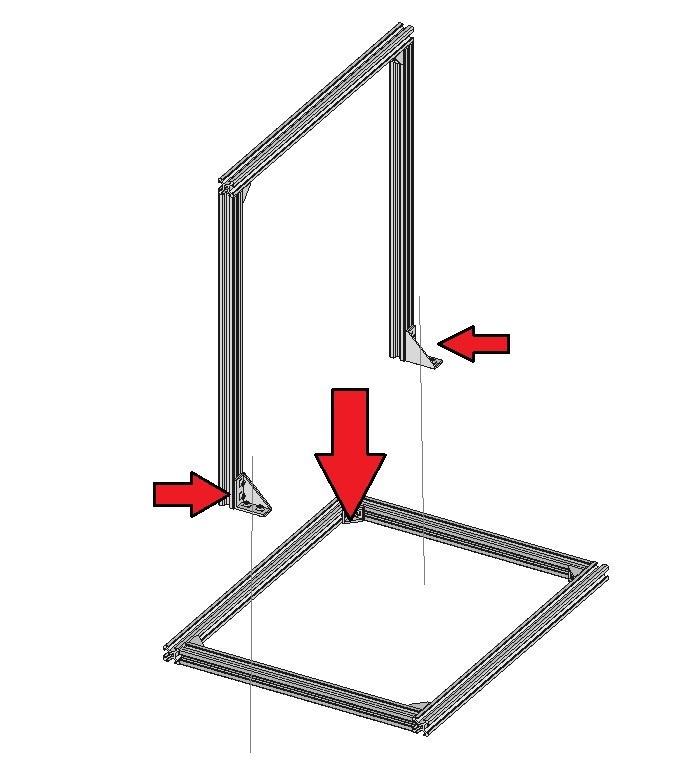 The following pictures show you how to proceed. 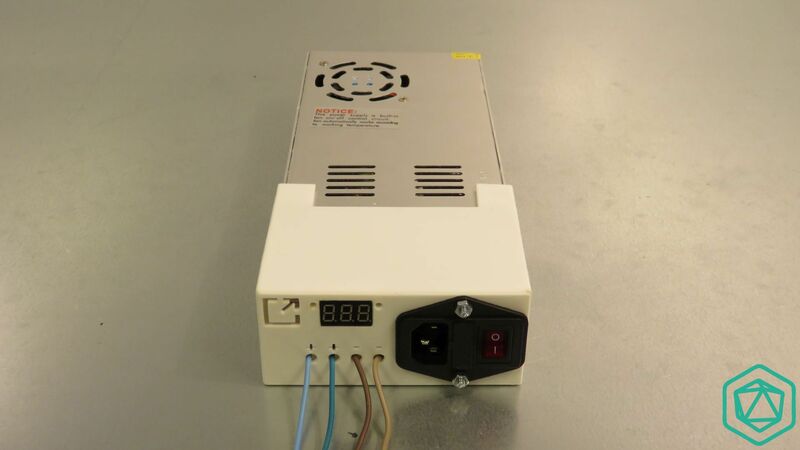 This type of power supply allows to slightly adjust the output voltage using a small trim resistor and a screw diver. 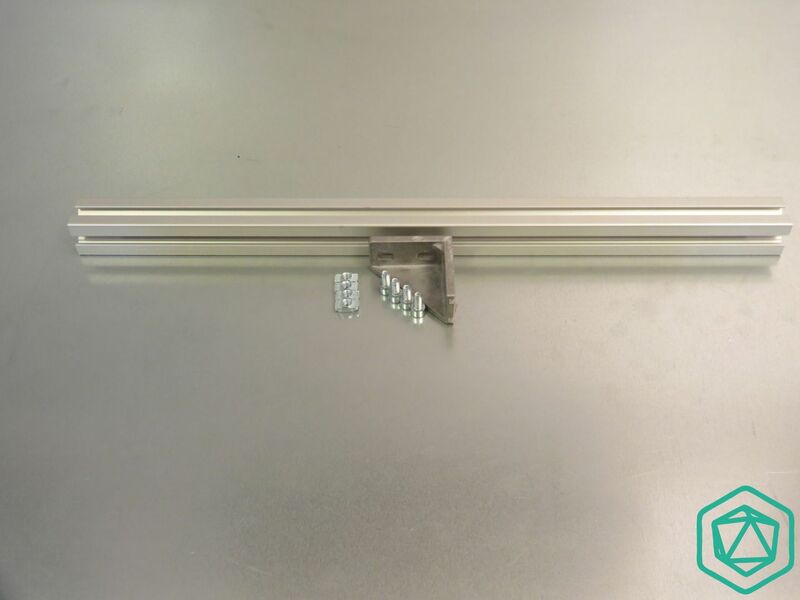 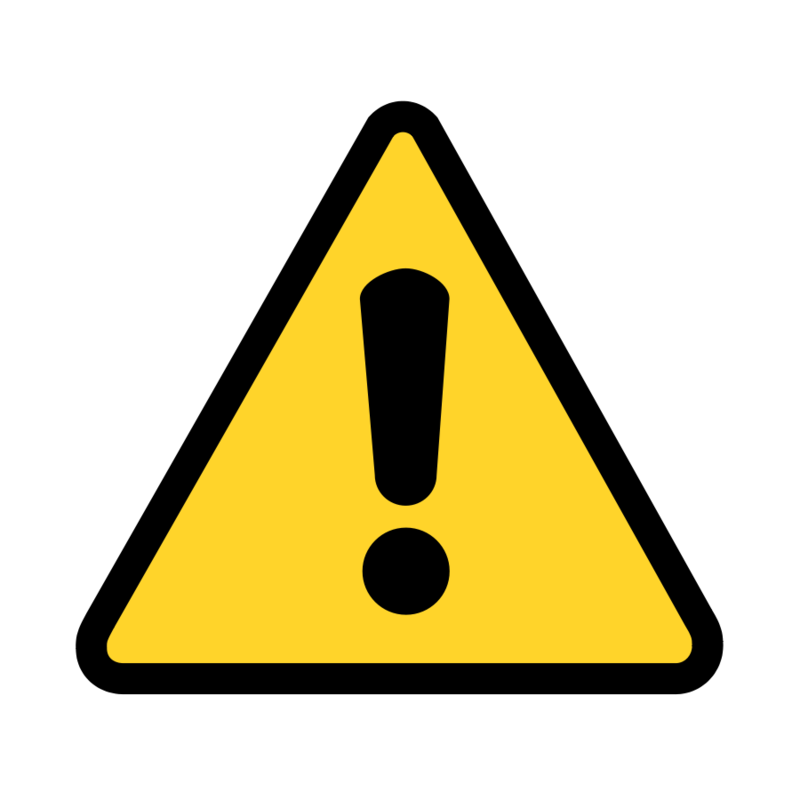 In order to prevent you from any electrical hazard, we strongly recommend that you slightly close the cover before switching on the power supply. 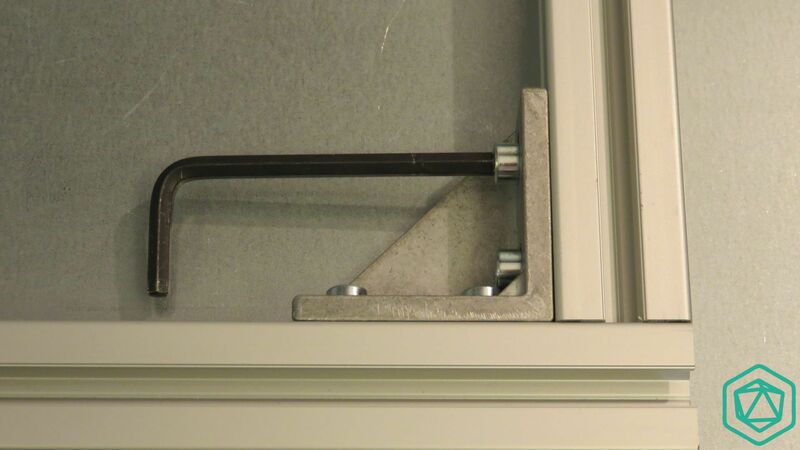 You might also consider having a quick access tuning trim (here on top of the picture. 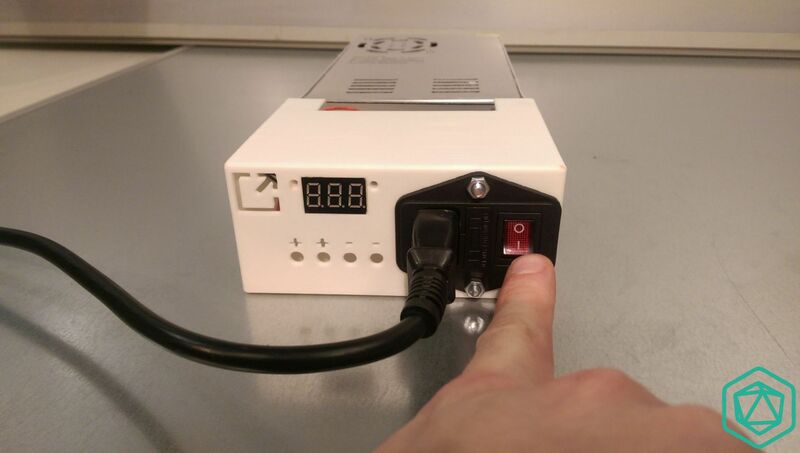 Before switch the power on, make sure the Power switch is on the « 0 » position. 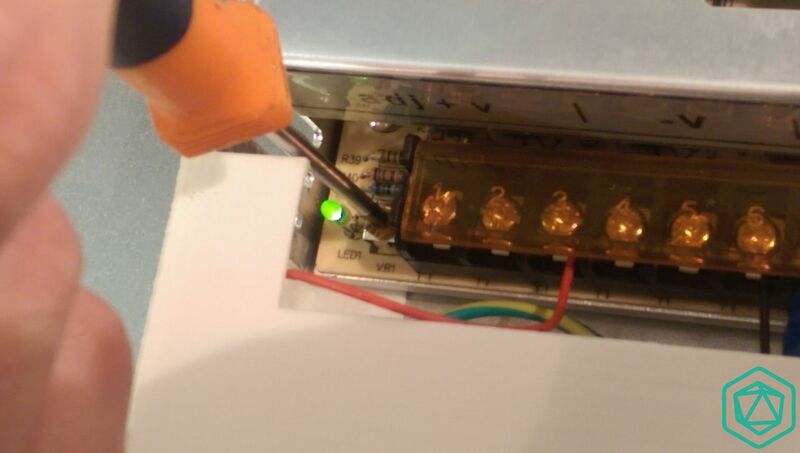 Also take a moment to check if a fuse is inserted inside the middle cavity (between the power switch and the power plug connector. 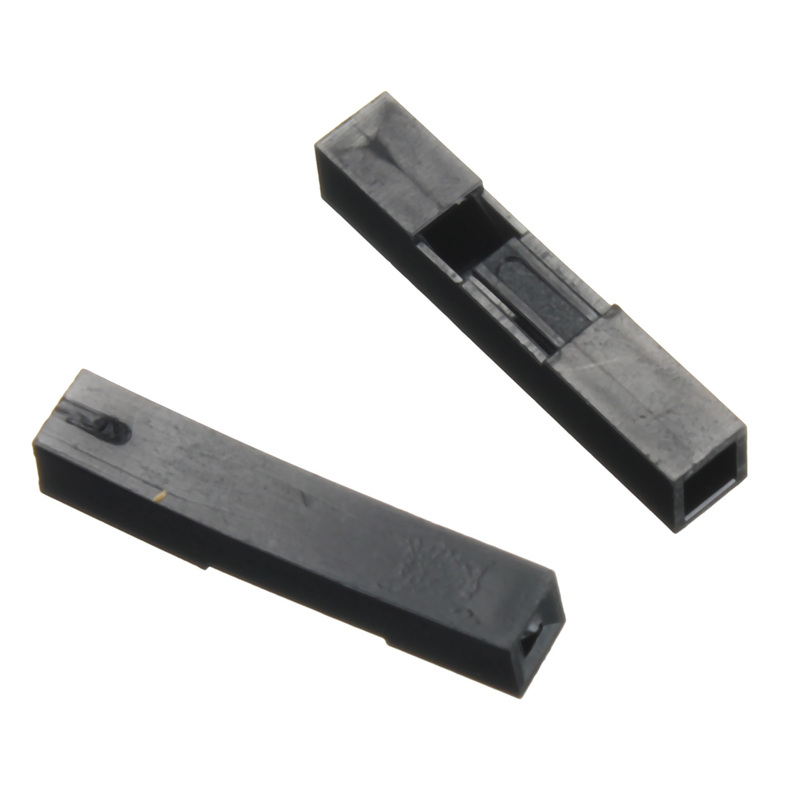 You can remove the fuse cap with a small flat screw diver.The small chamber containing the fuse should be coming slowly. 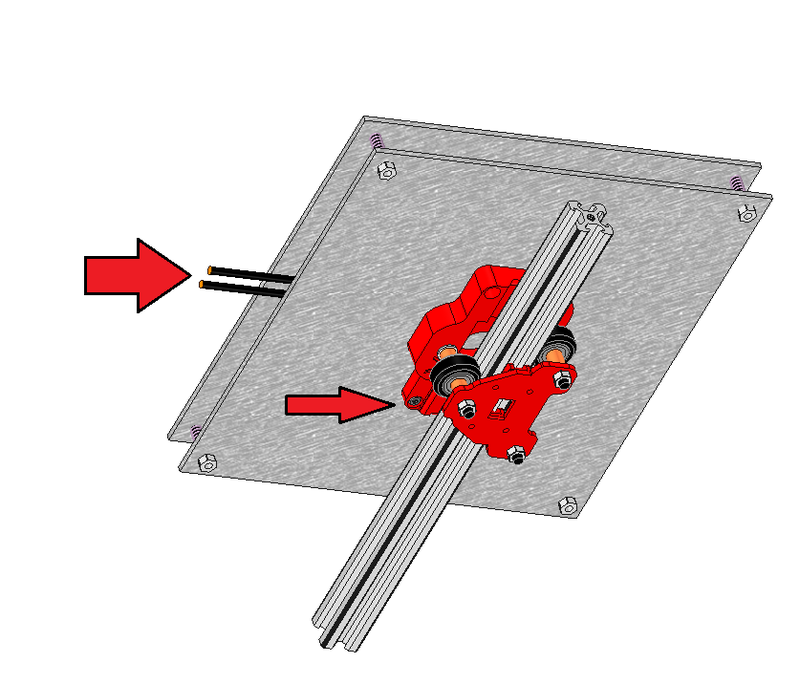 Check that you have at least 1 fuse at the bottom of the chamber. 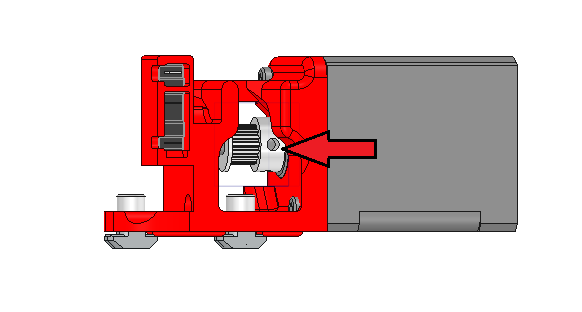 Push back the fuse cap in position. 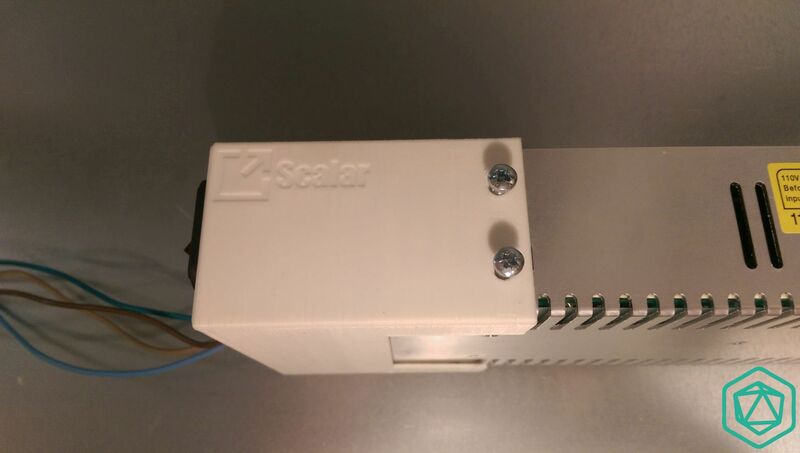 Now, plug the power cable to the main power grid, and switch the power button on. 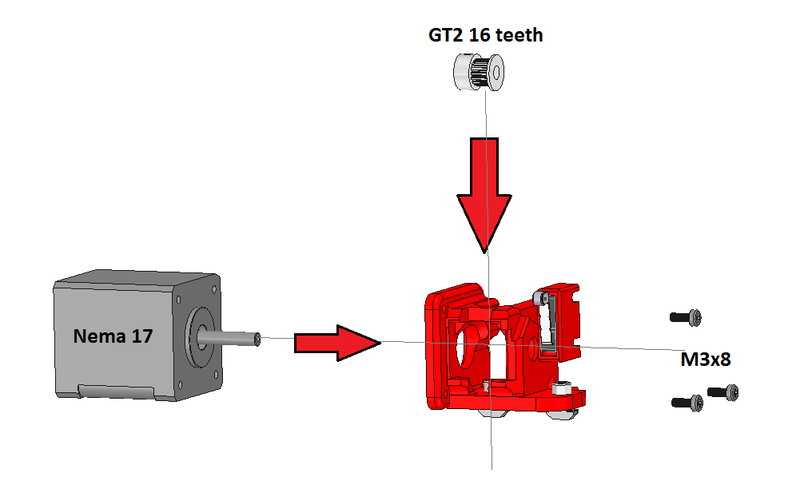 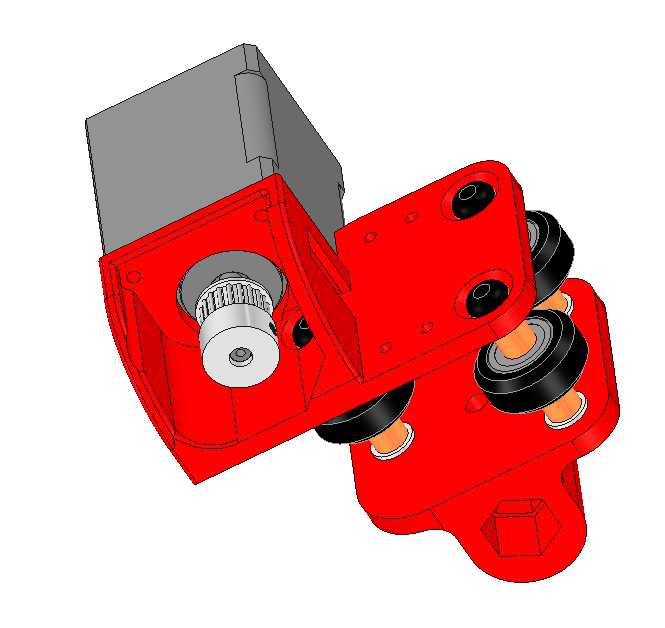 Take a screw diver and slowly turn it in one way and on the other way in order to align the power output to 12V. 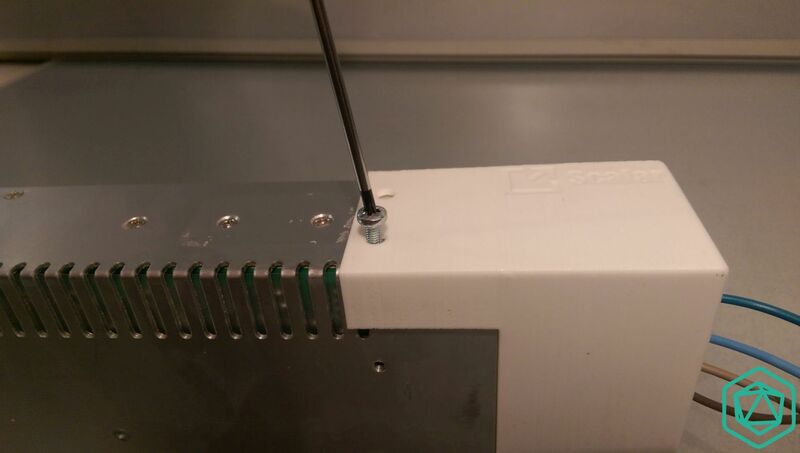 Here is a zoomed picture on the trim resistor. 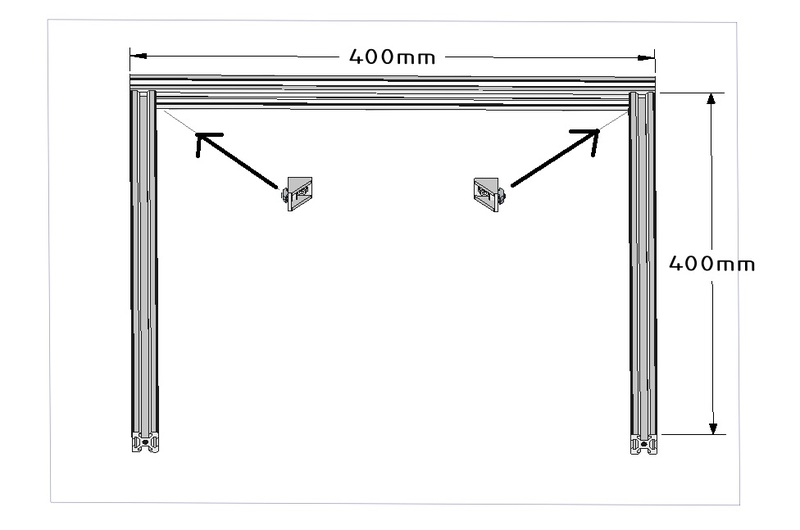 Take the 4 90cm long wires. 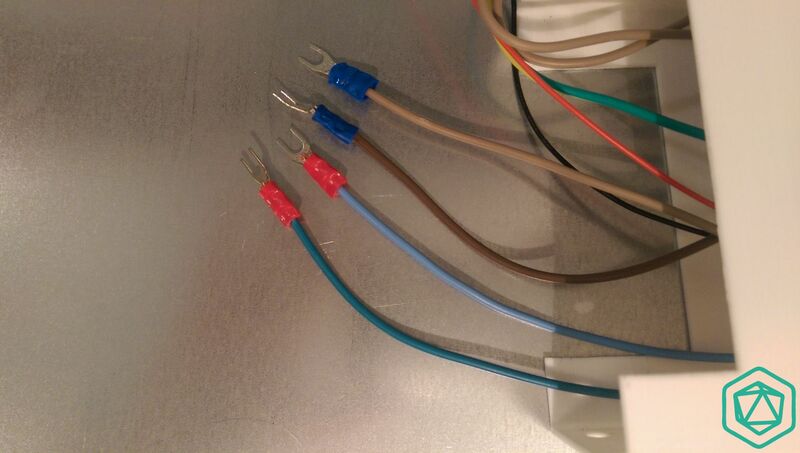 2 Wires must have some Blue or black terminals and 2 other with red terminals . 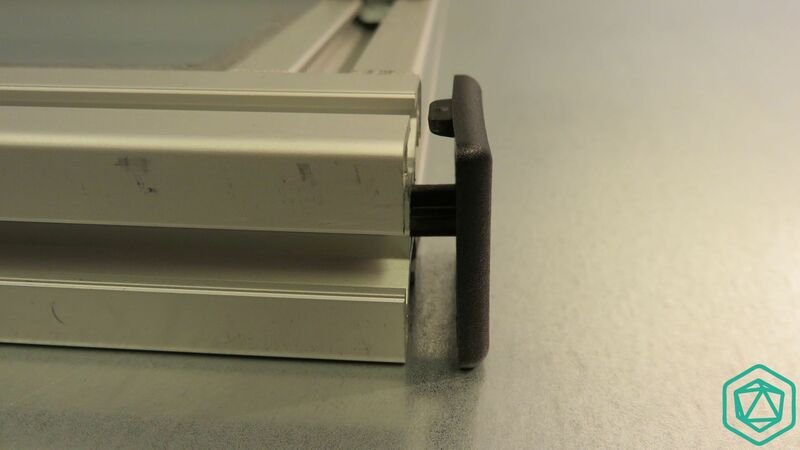 Insert them into the front cover so that the terminals are inside the cover . 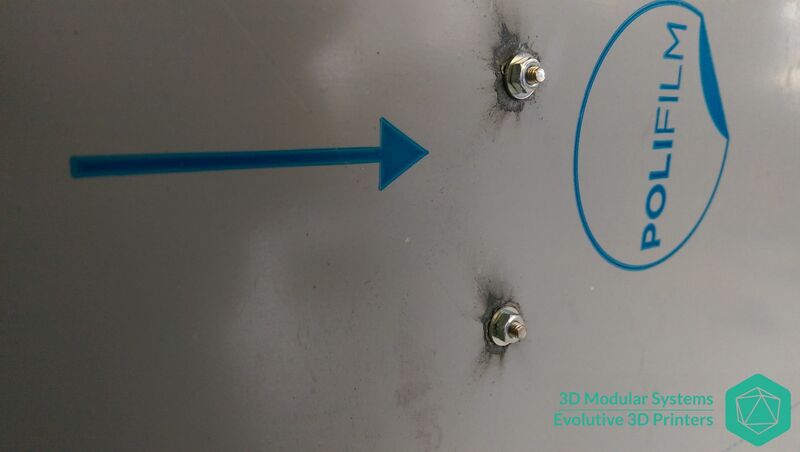 Also insert the other side of the wires having the red terminals inside the round holes with the « + » marking. 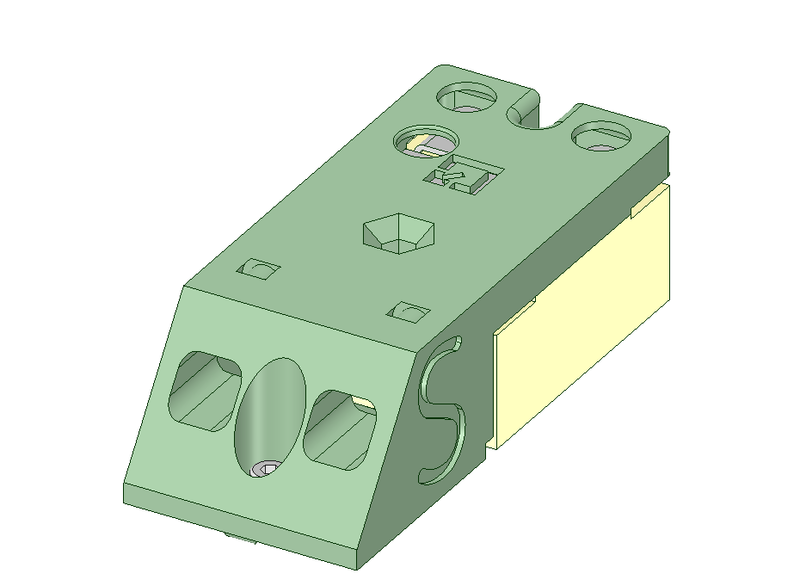 Regarding the wires with the blue terminals (or black), inser them inside the holes with « – » marking. 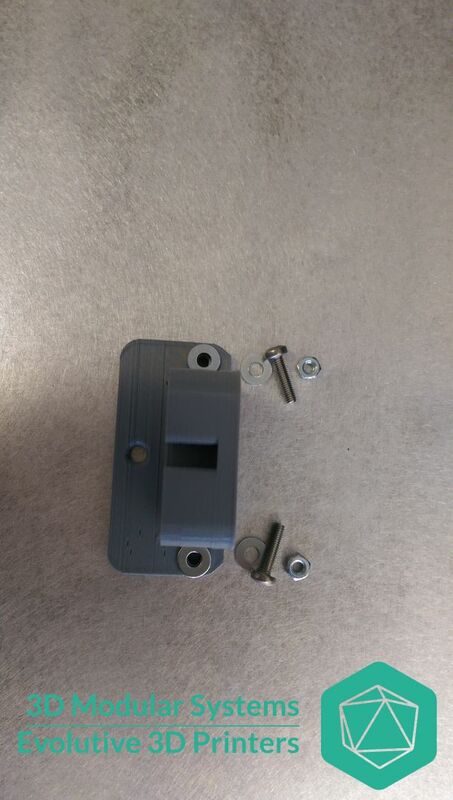 All the terminals are inside the plastic cover. 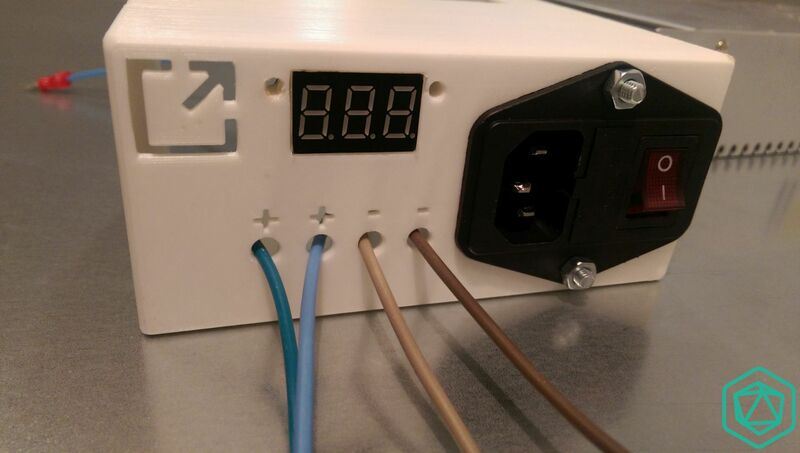 Now, connect the wires with the Red termials to the power supply terminals with the « +V » marking. 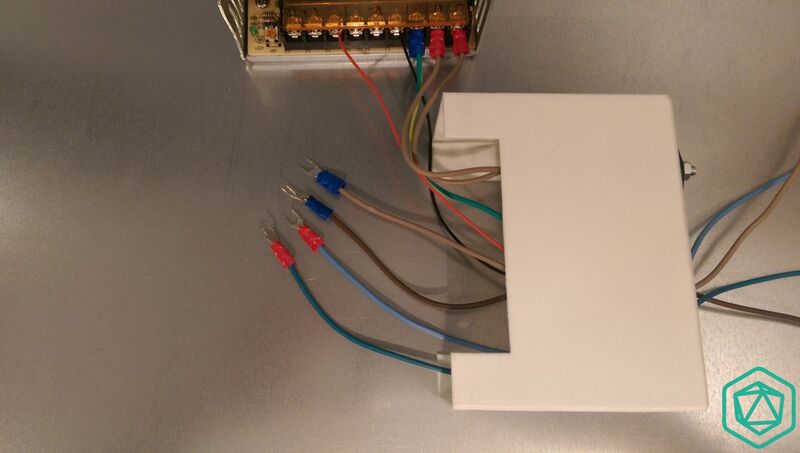 They are mainly the one located on the left of the power supply just next to the green led. 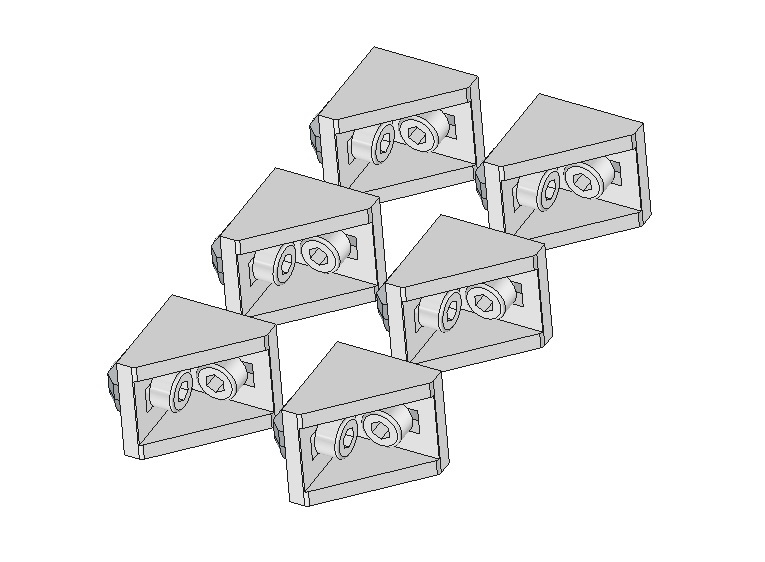 Push the plastic covert so that the side holes are aligned with the ones on the power supply . 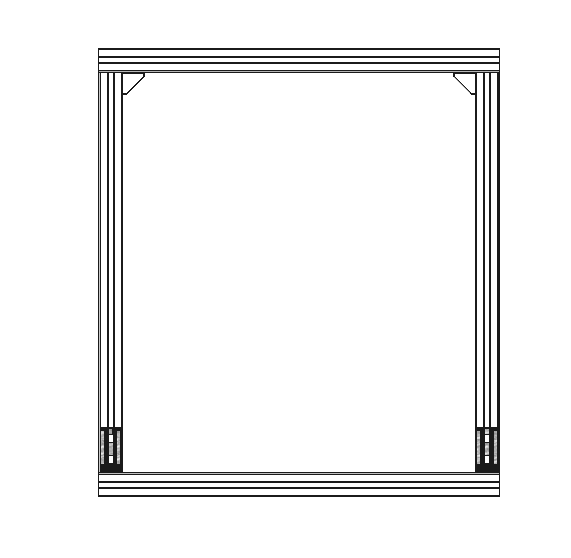 On one side you will need 1 M4 screw. 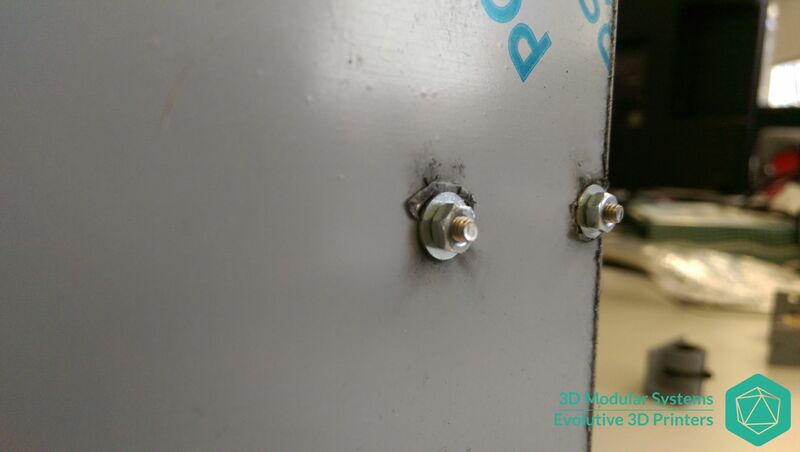 Fix the screws on their dedicated located. 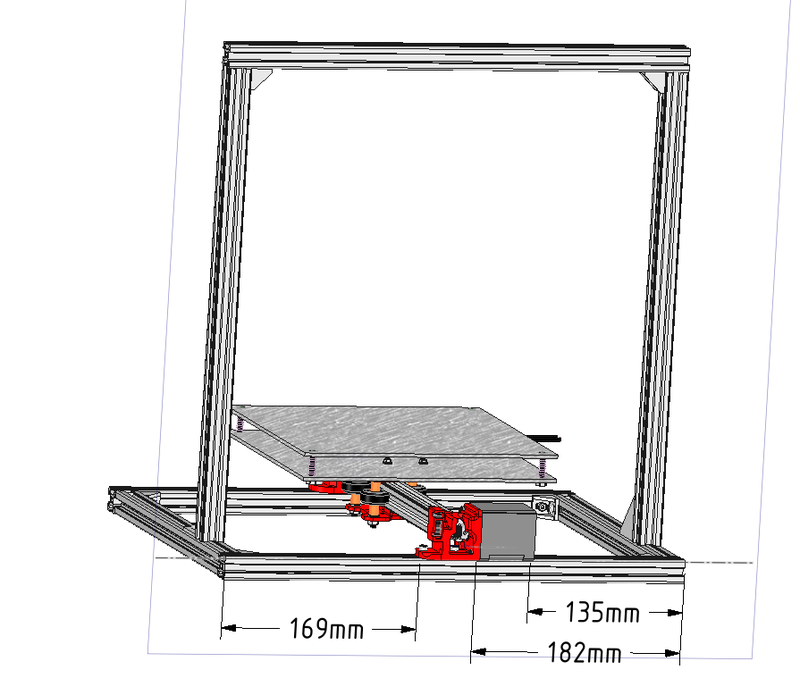 Prepare the last 2 M4 screws on the other side of the cover. 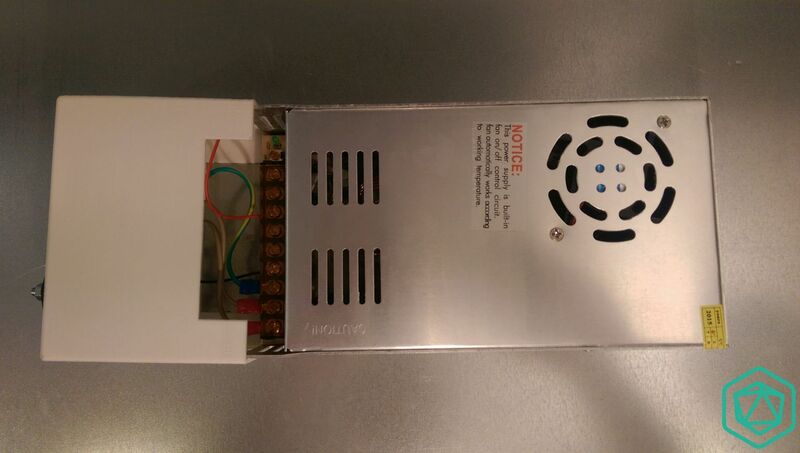 Congratulation, your power supply is ready to be used. 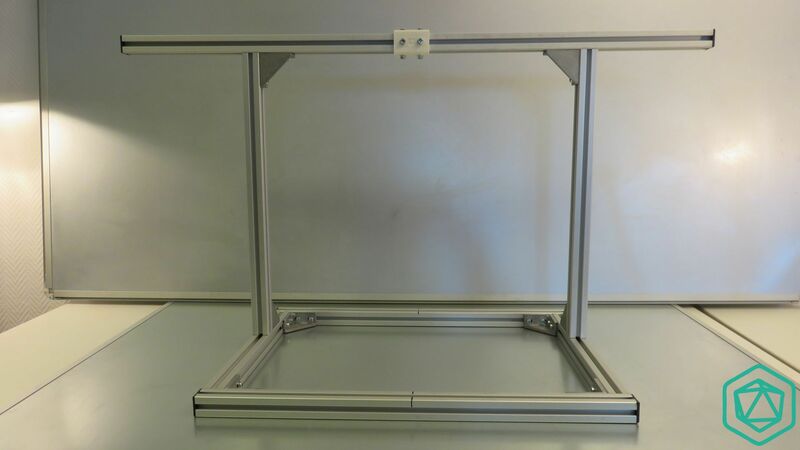 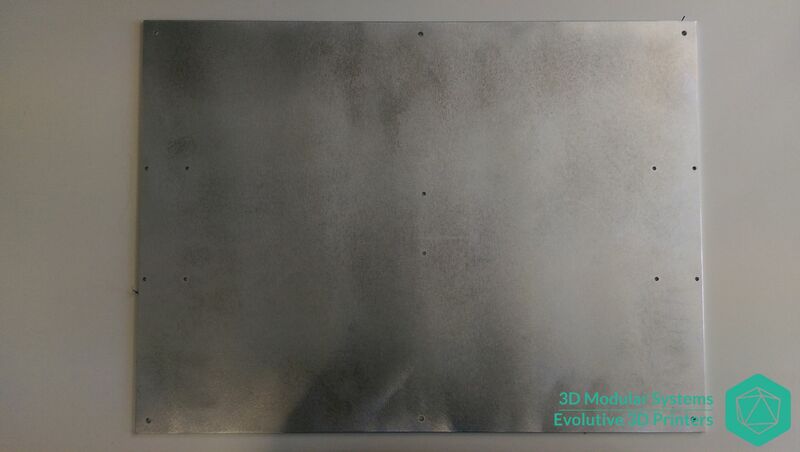 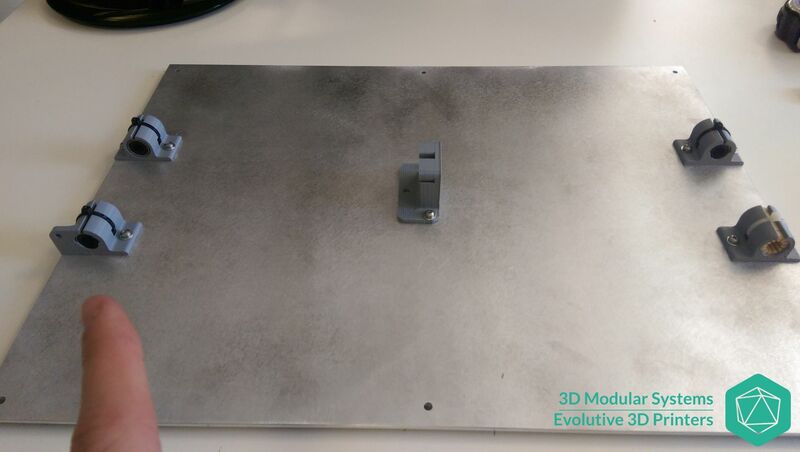 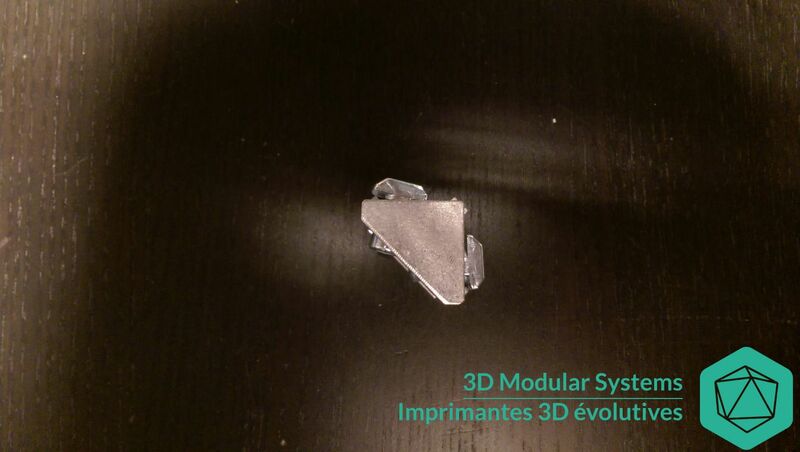 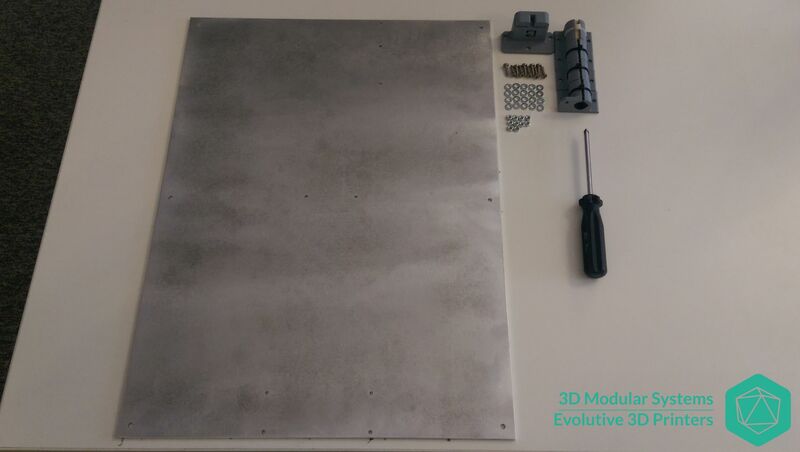 Cette entrée a été publiée dans Alimentation, Electronique, Imprimante Scalar, Imprimantes, Scalar M, Scalar XL, et marquée avec 360w, assembly, cover, ground, LCD, power plug, power supply, psu, wires, le 16 May 2015 par 3D Modular Systems.